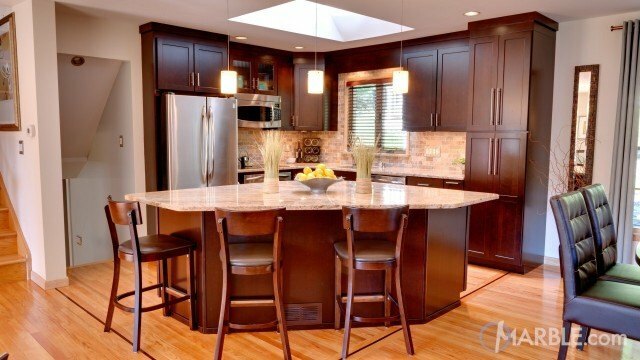 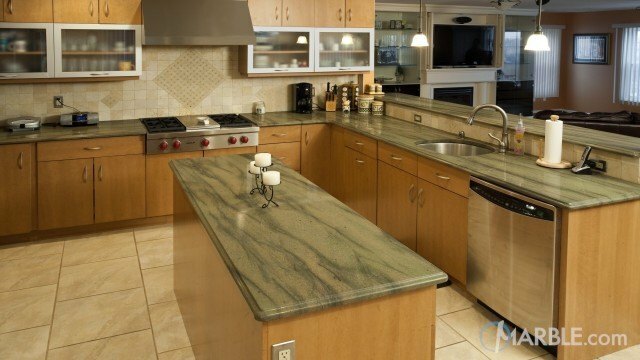 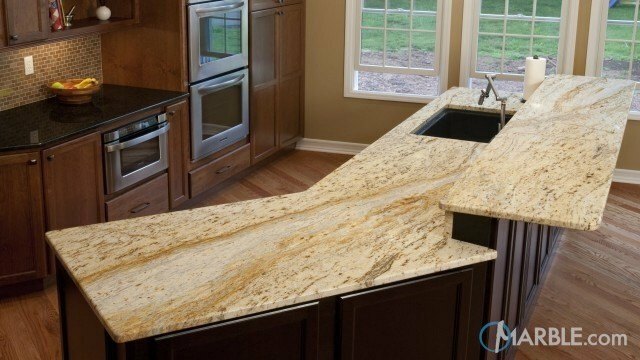 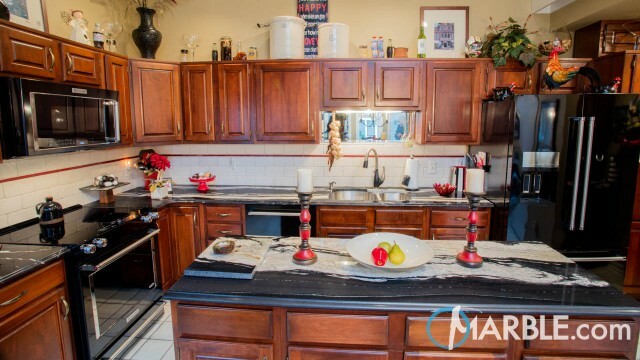 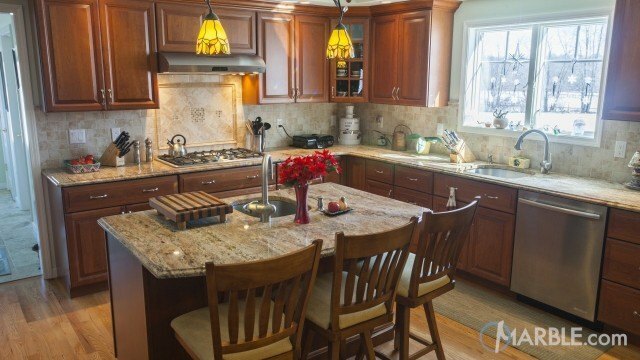 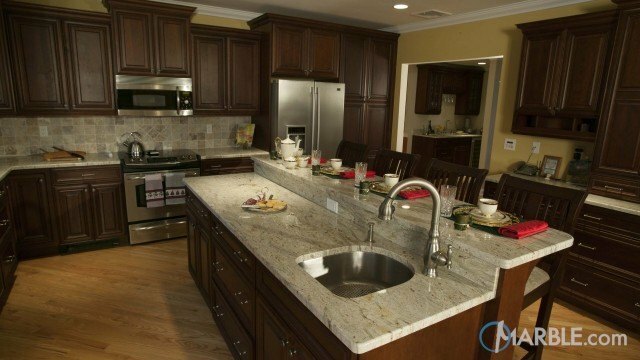 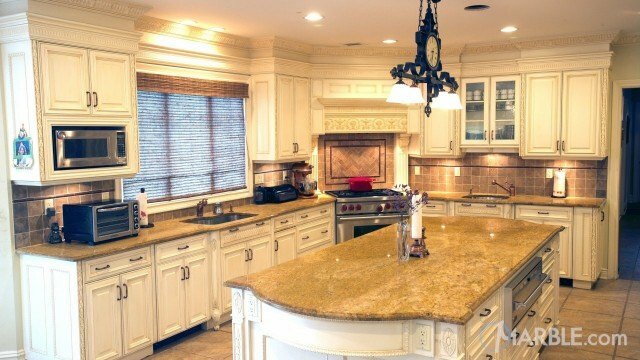 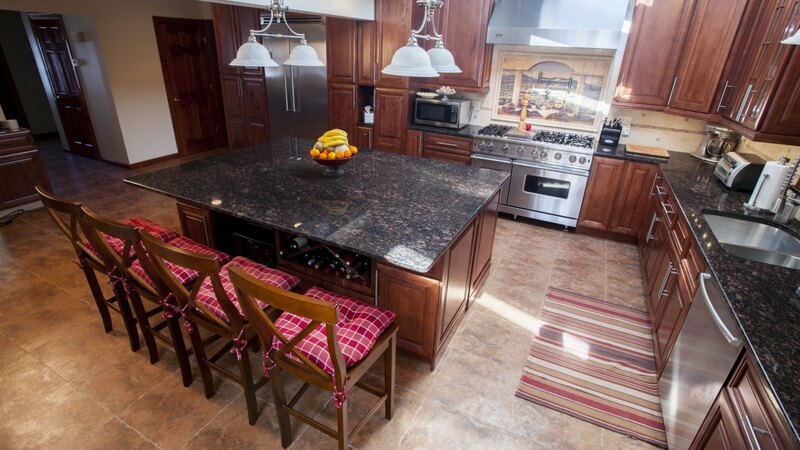 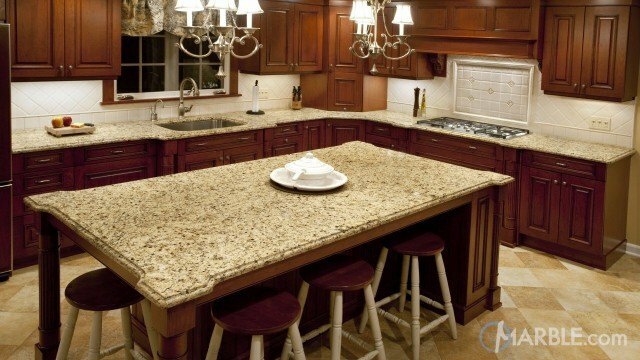 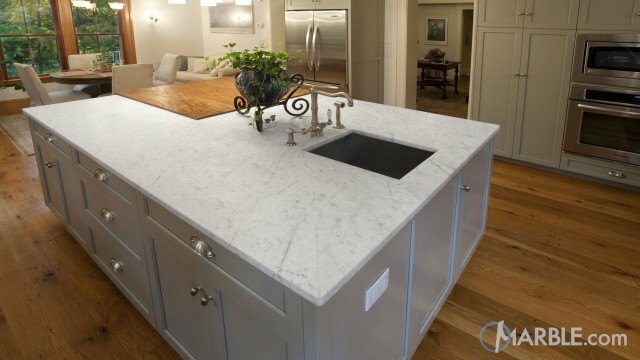 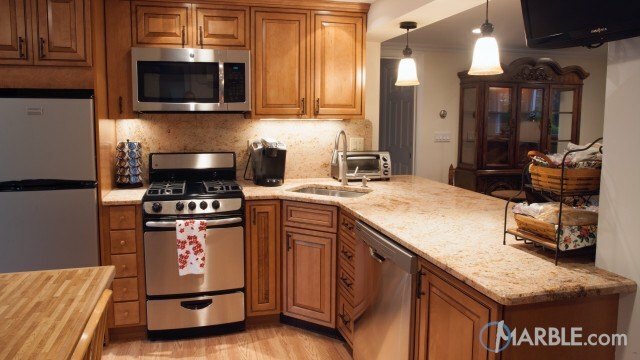 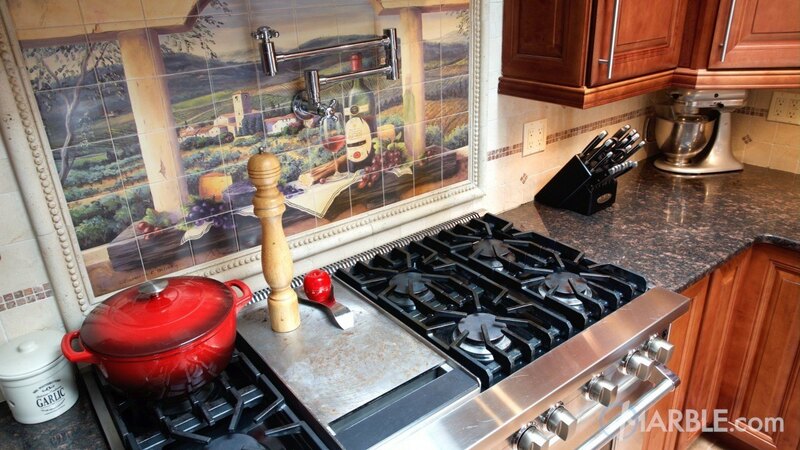 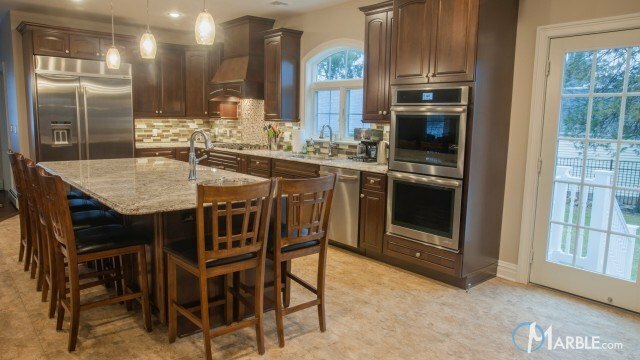 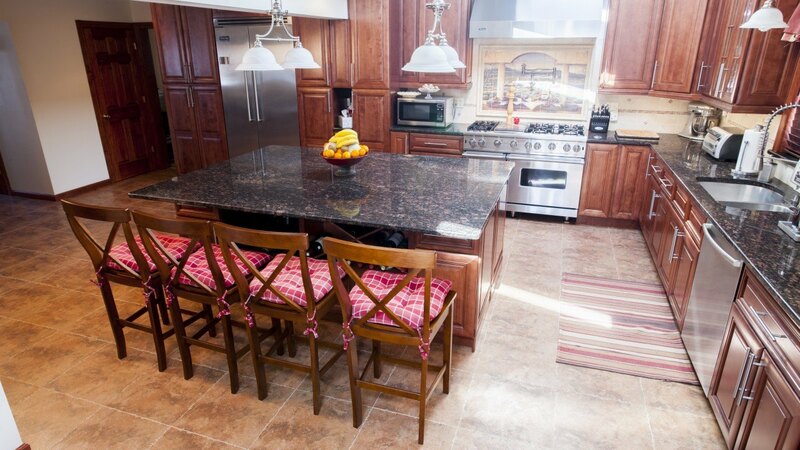 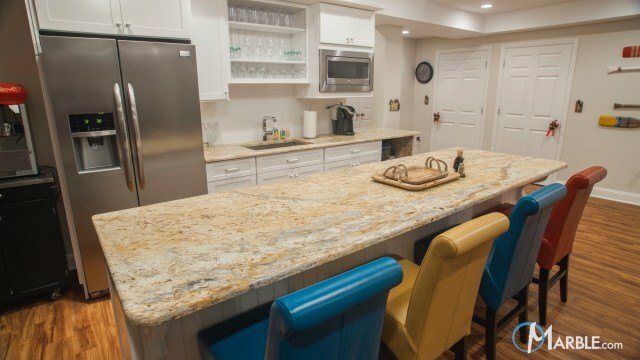 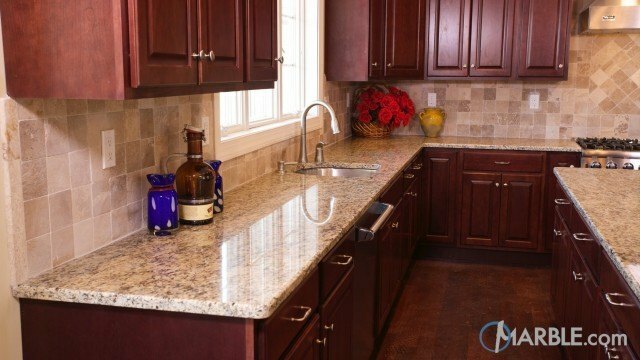 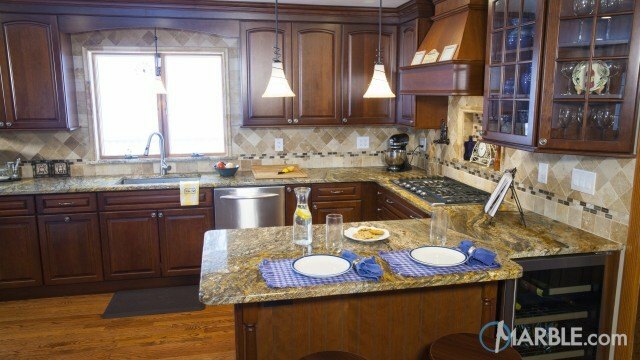 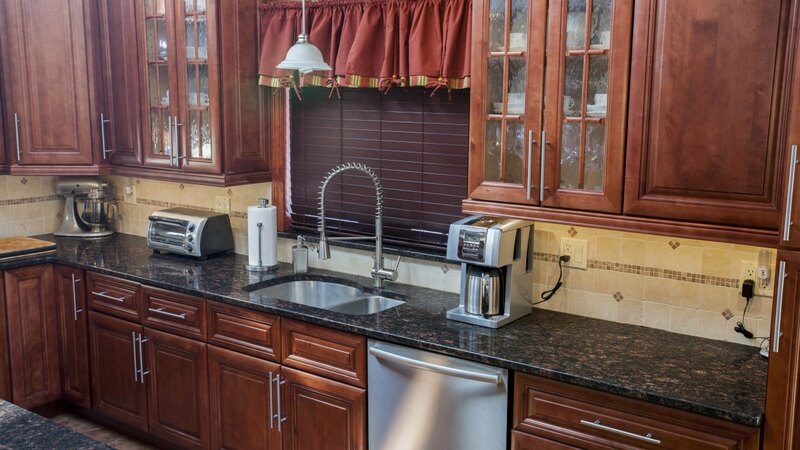 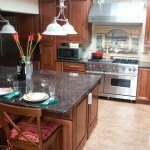 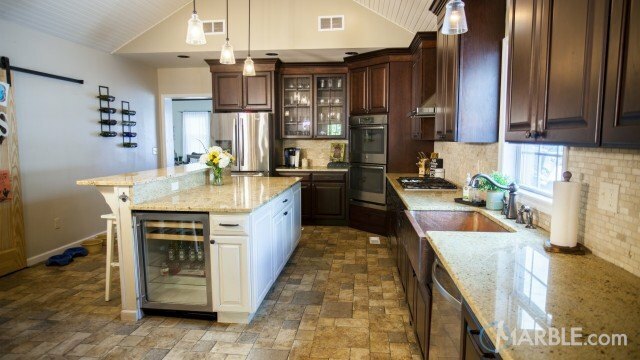 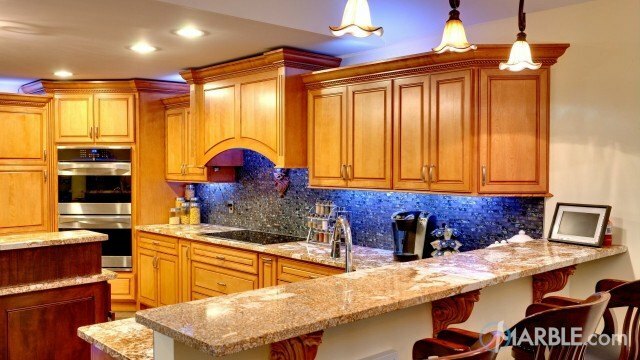 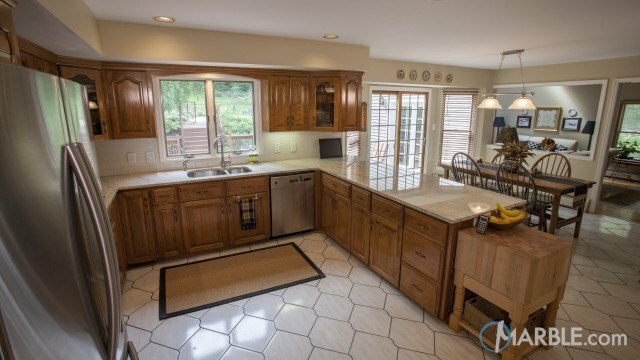 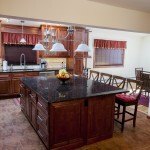 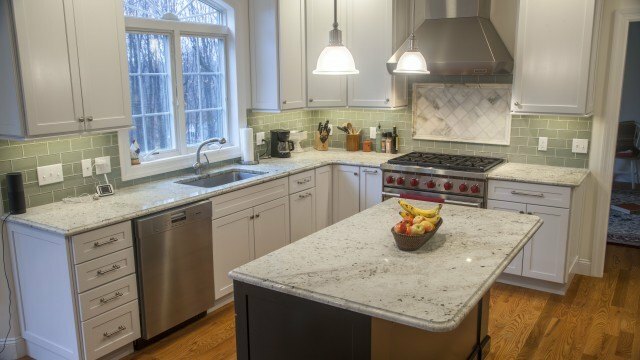 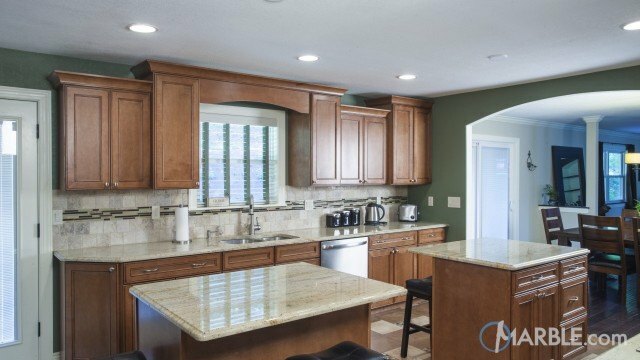 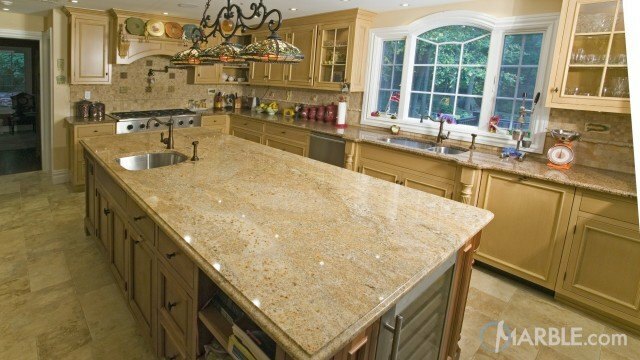 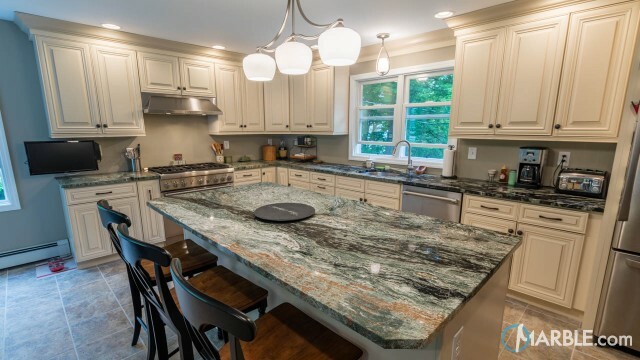 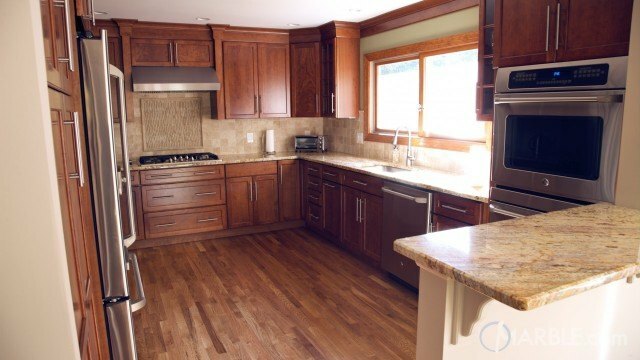 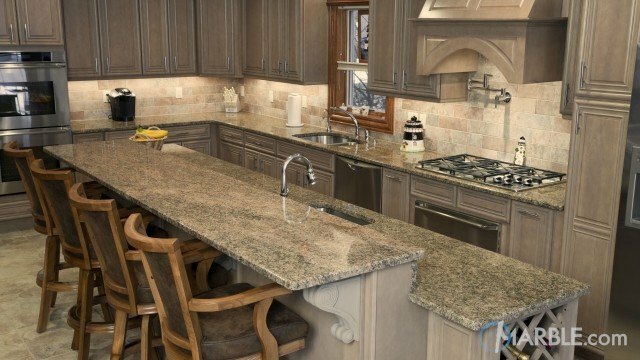 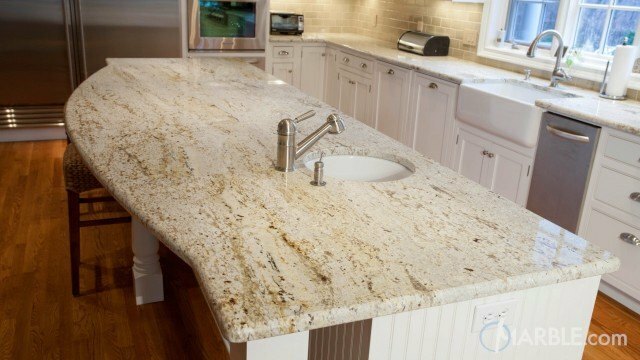 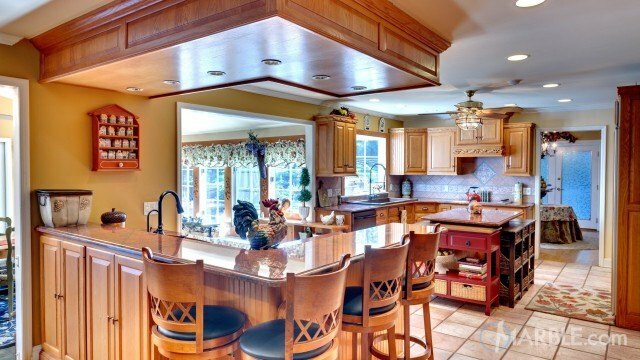 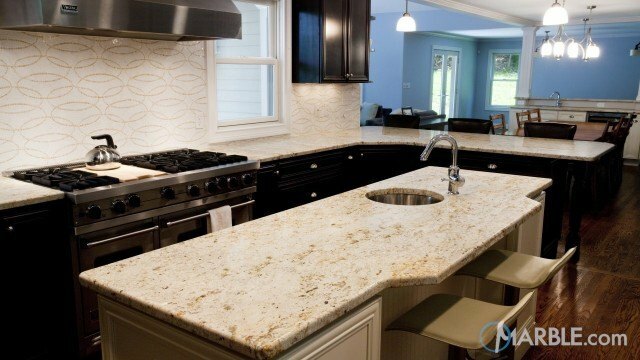 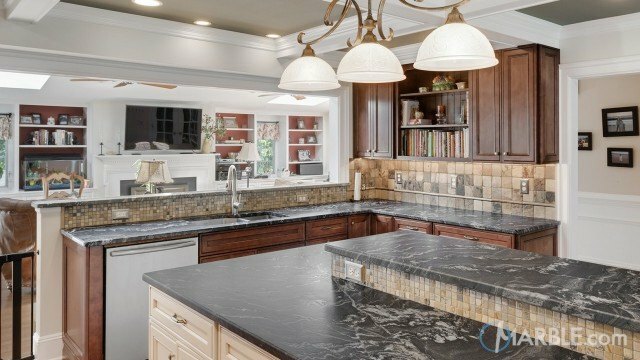 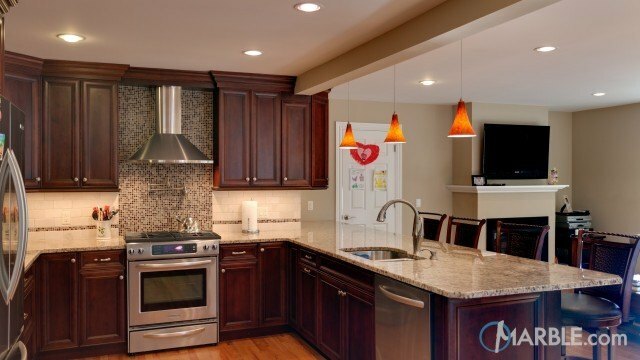 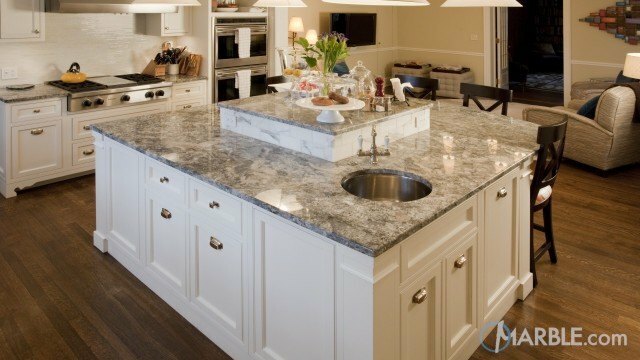 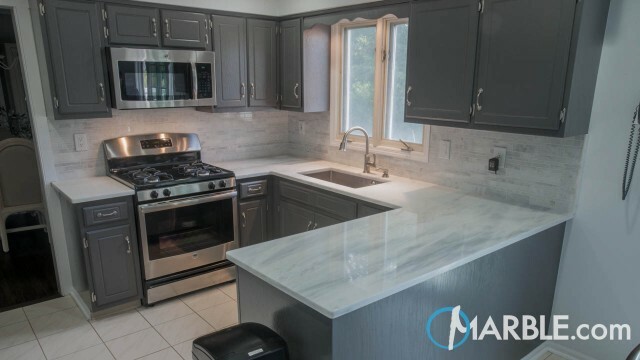 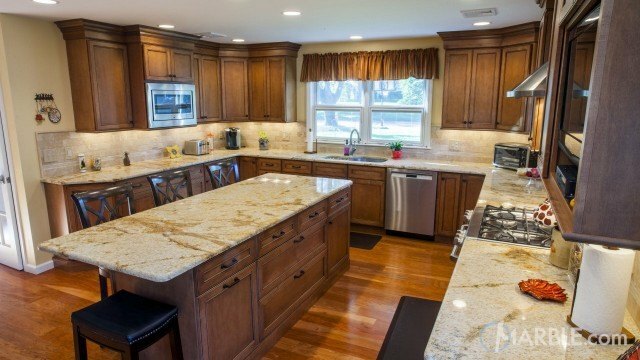 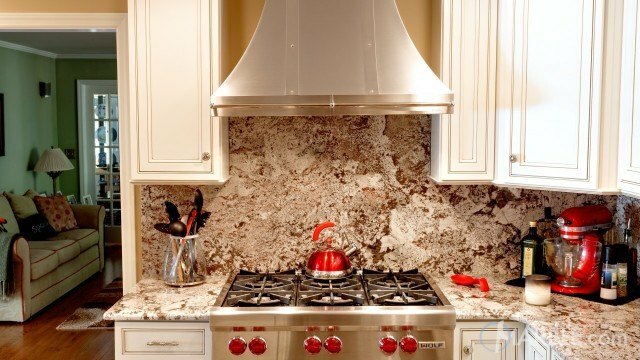 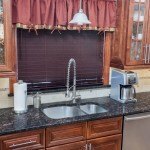 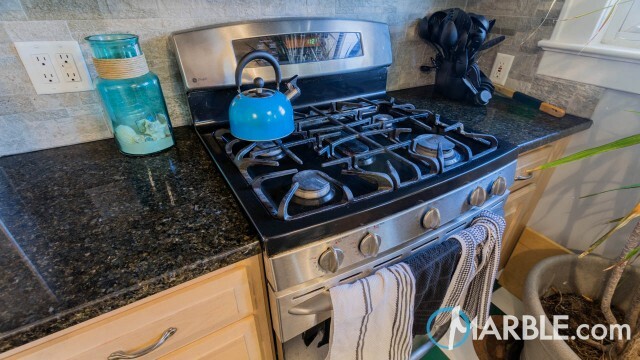 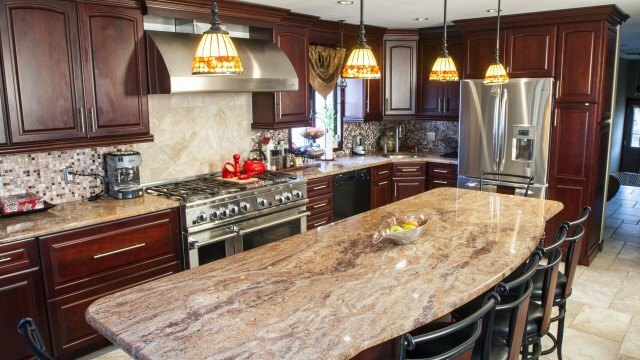 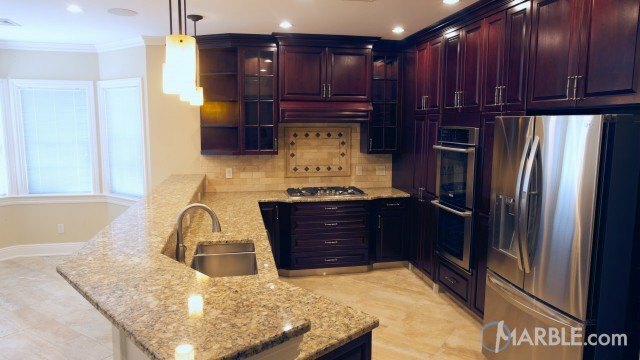 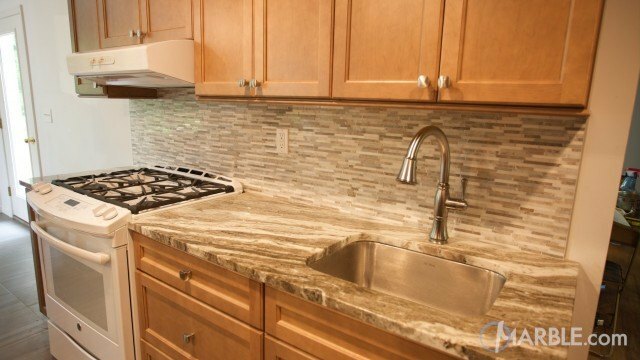 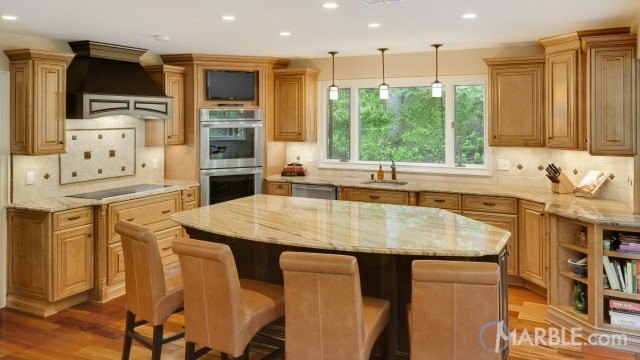 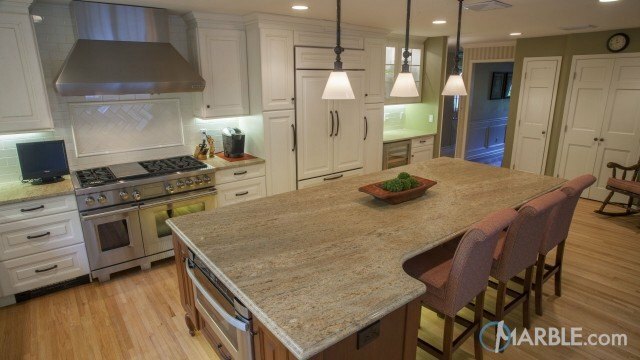 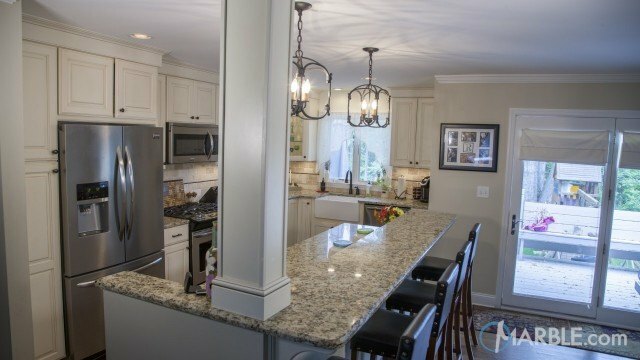 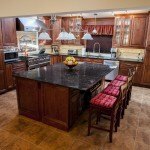 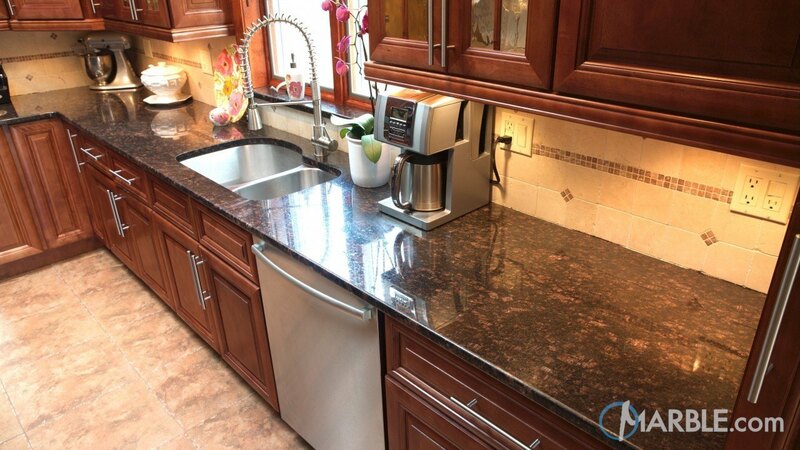 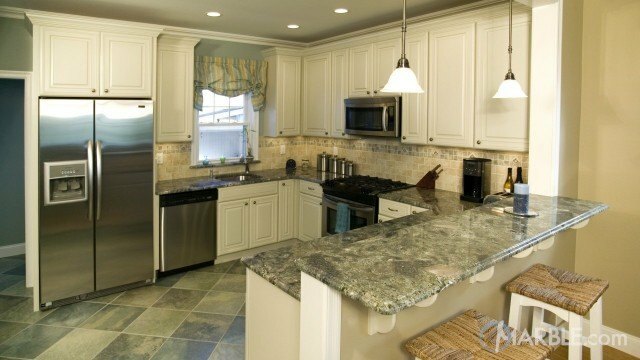 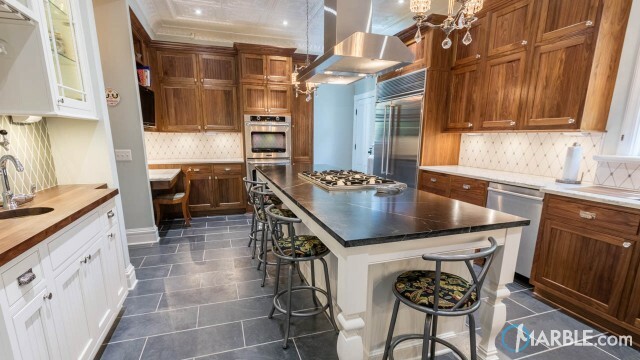 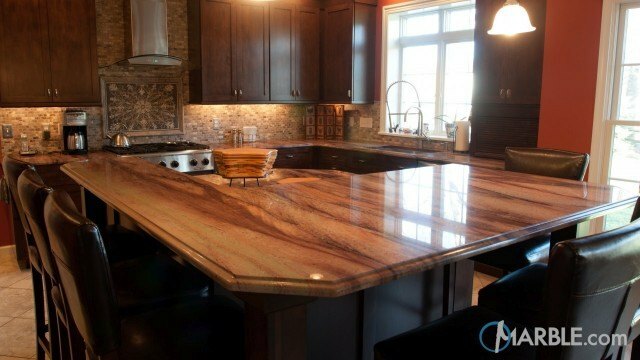 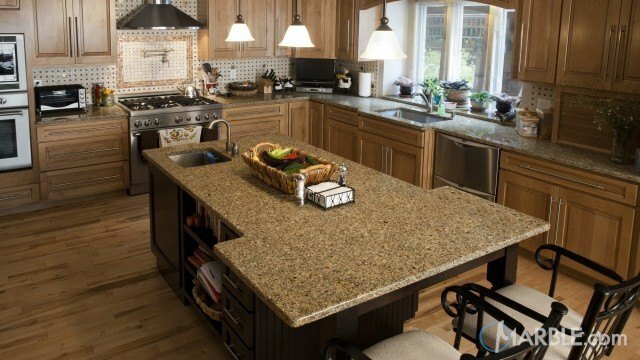 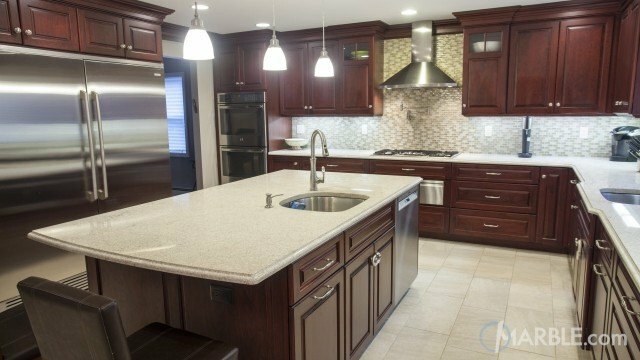 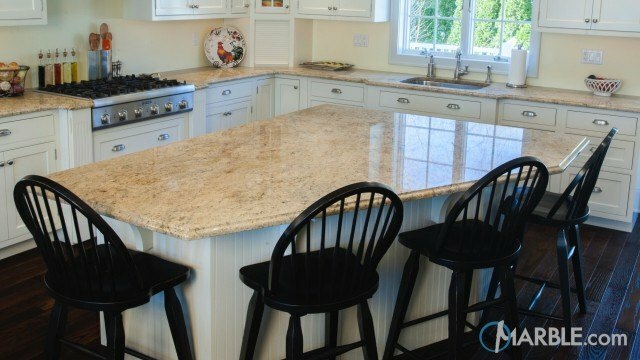 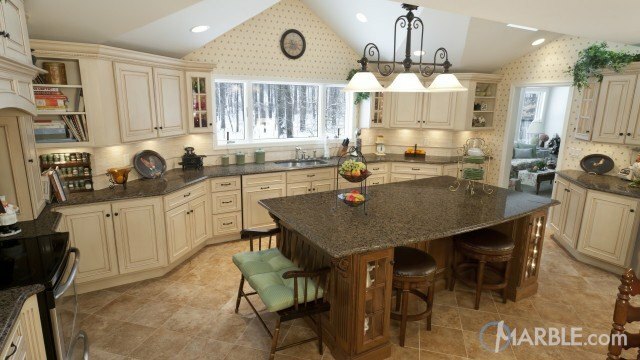 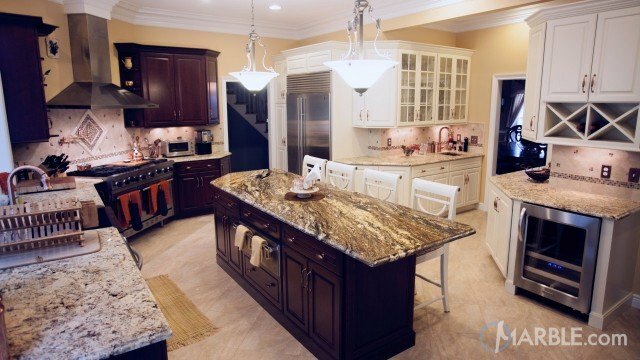 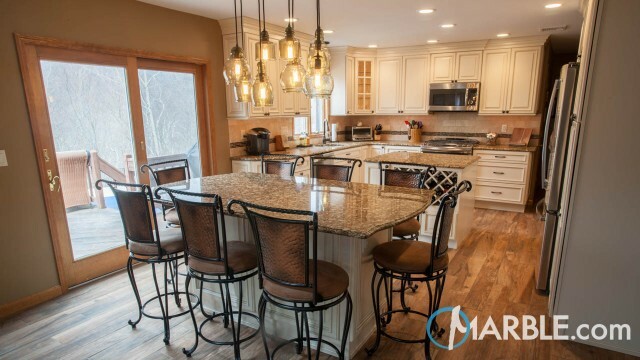 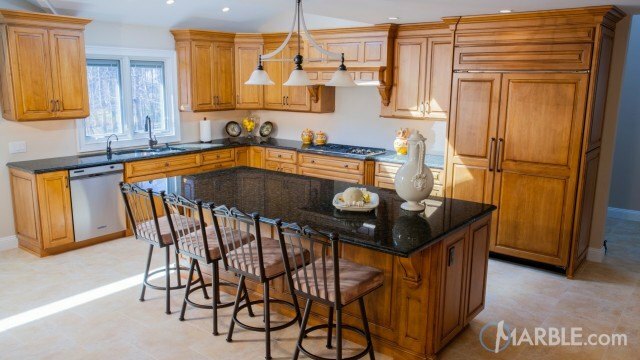 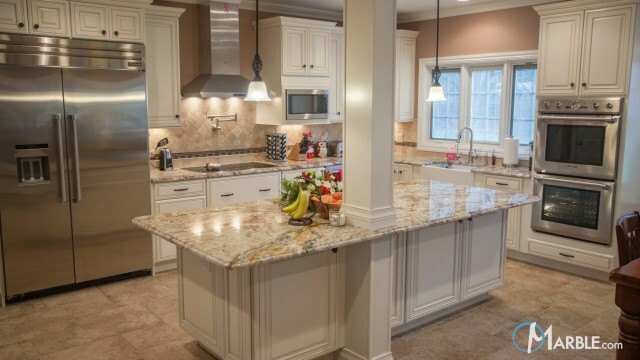 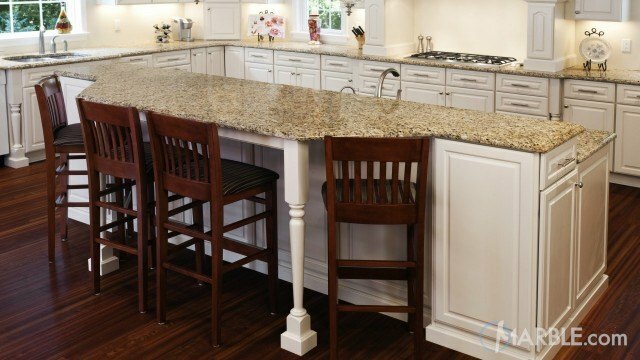 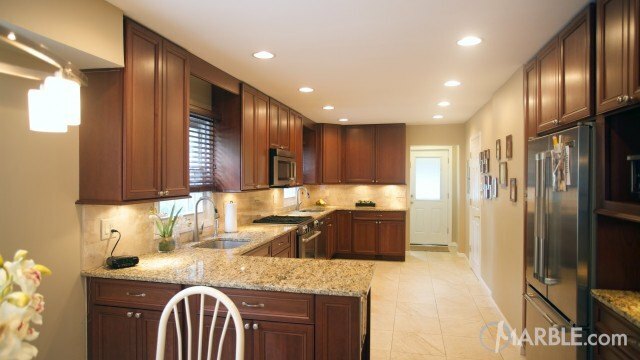 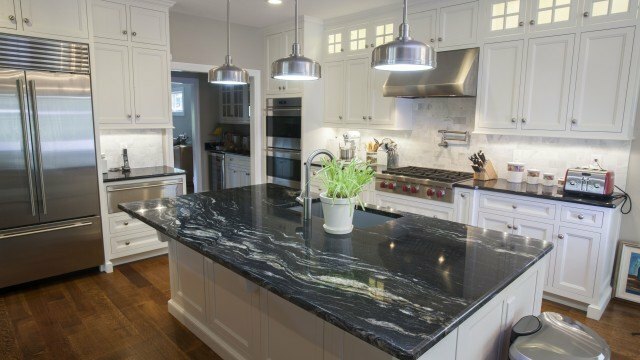 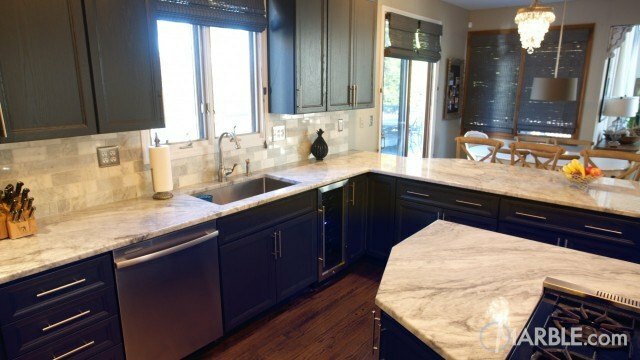 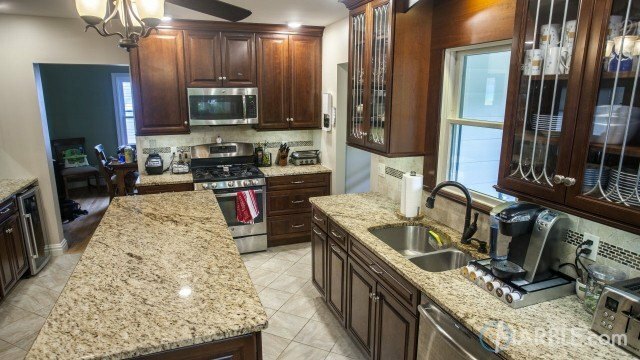 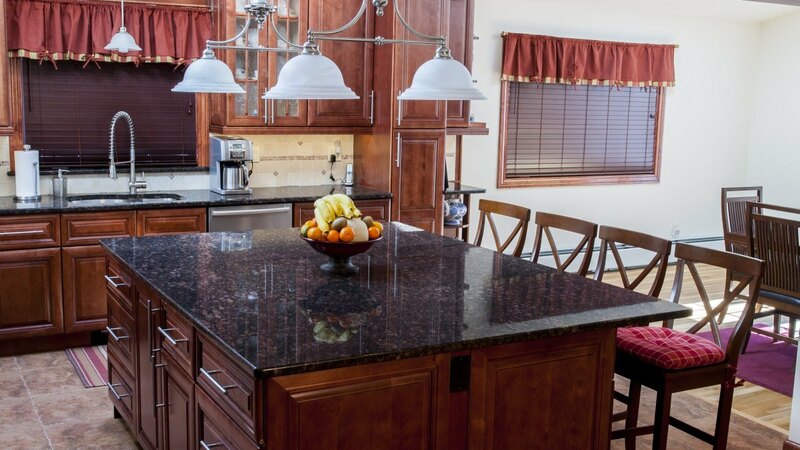 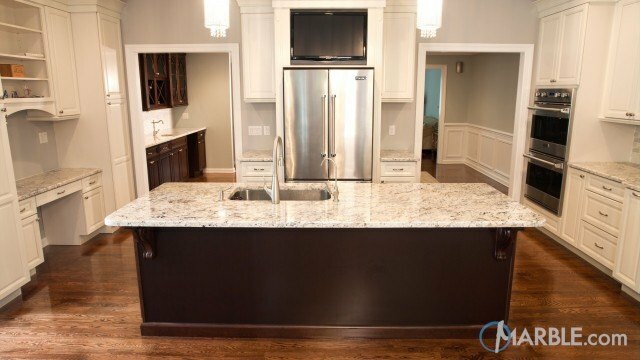 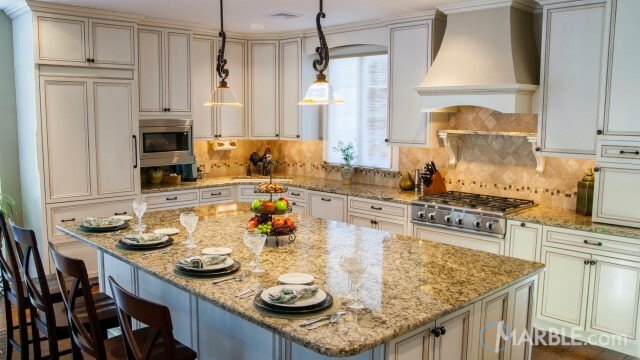 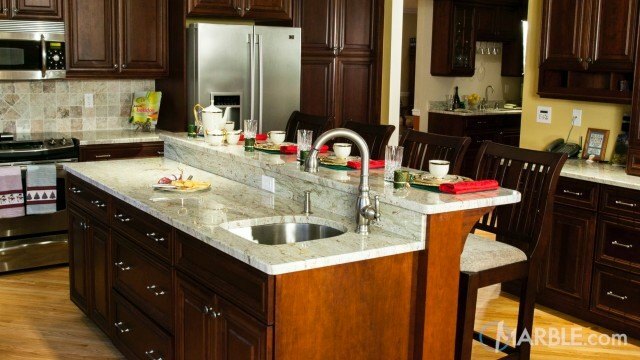 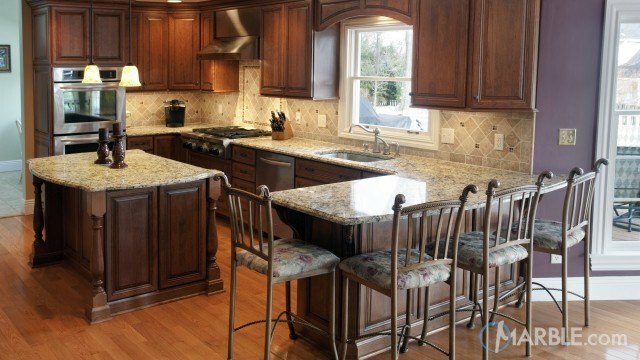 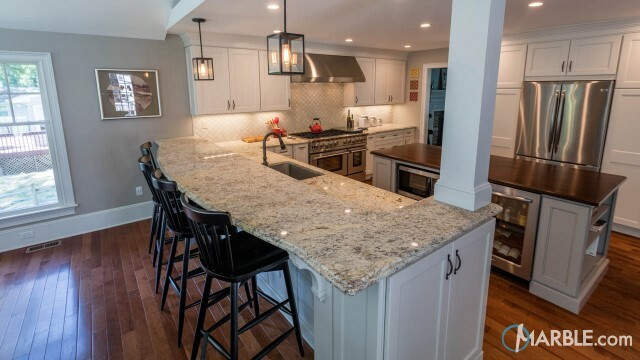 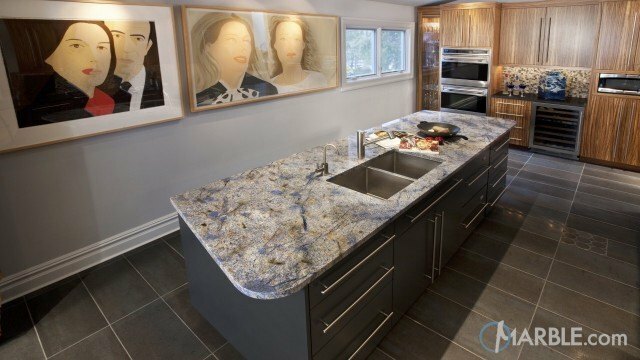 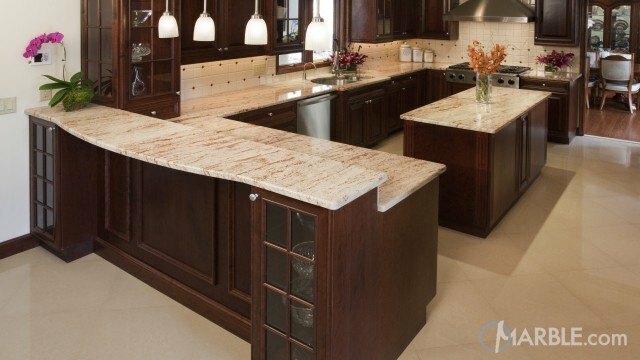 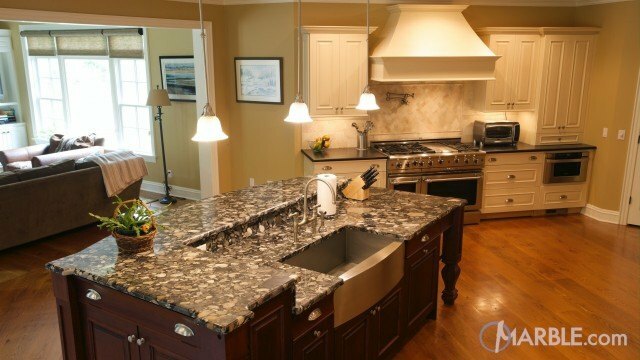 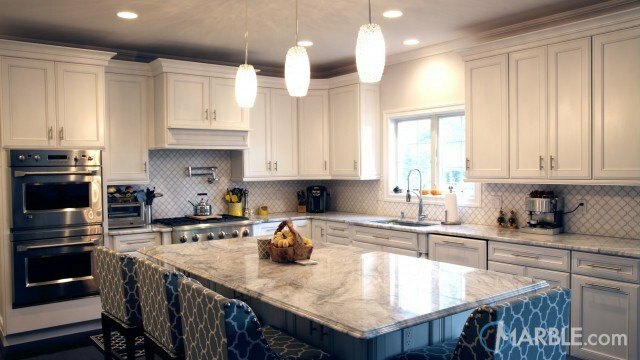 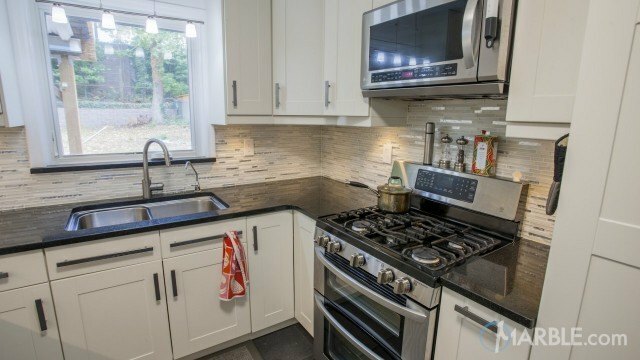 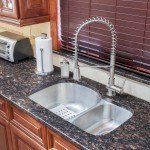 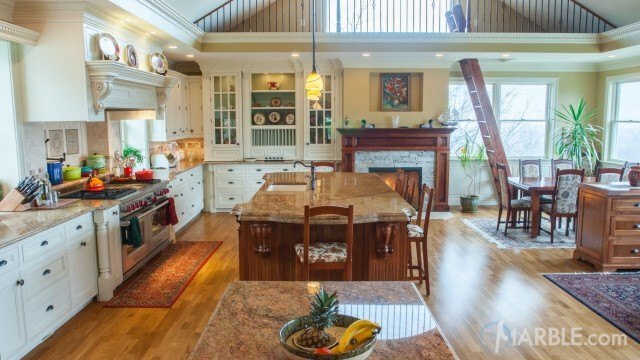 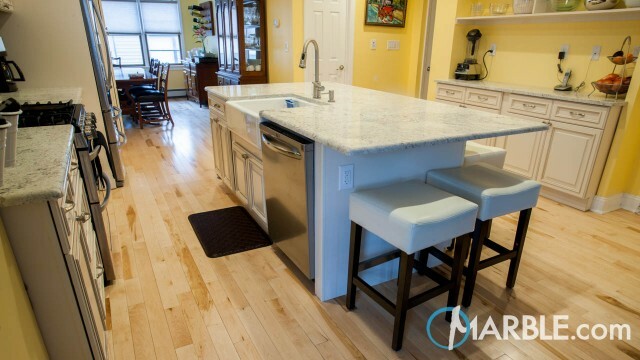 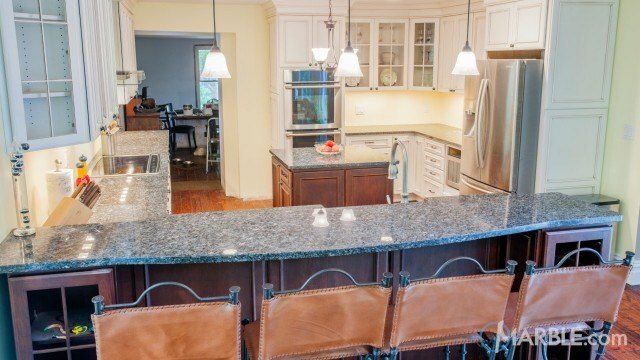 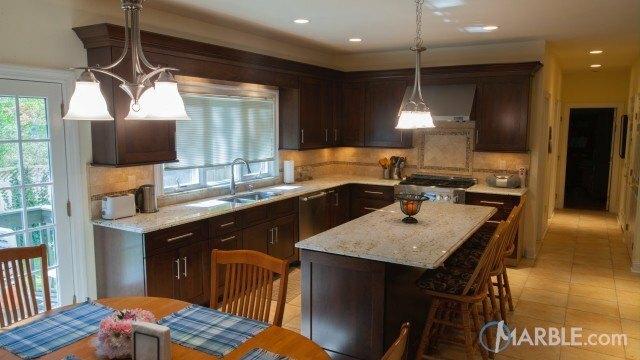 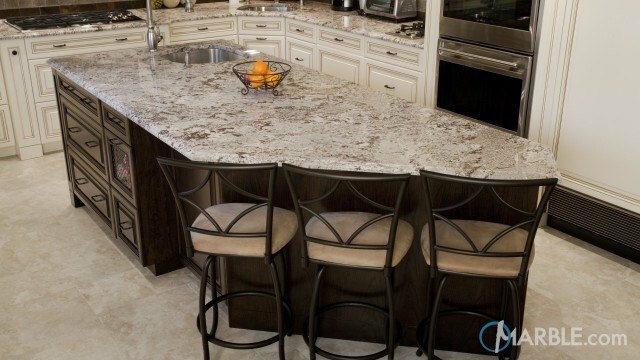 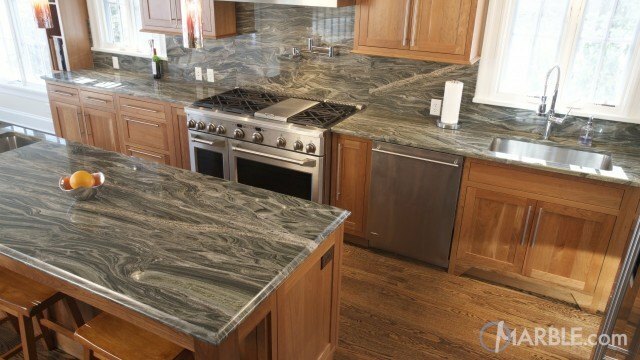 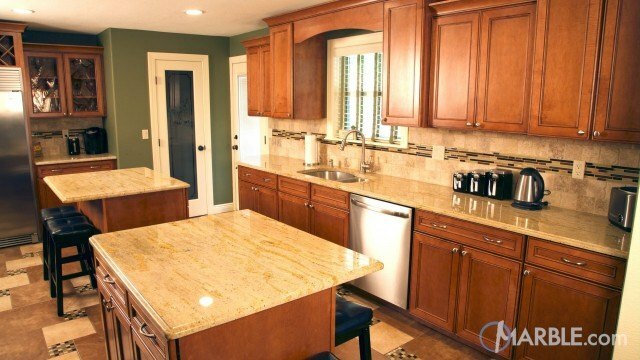 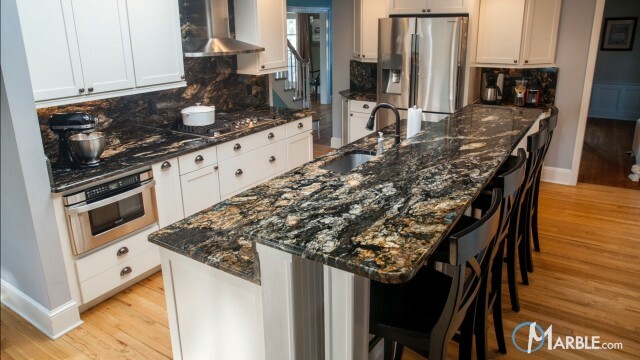 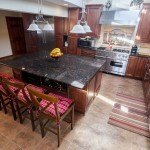 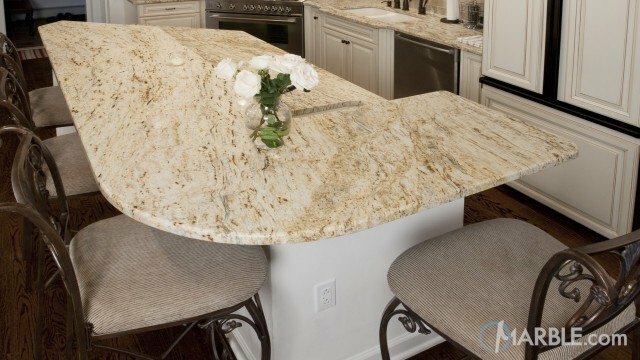 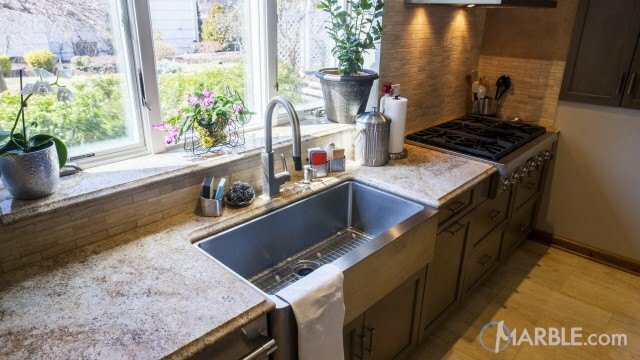 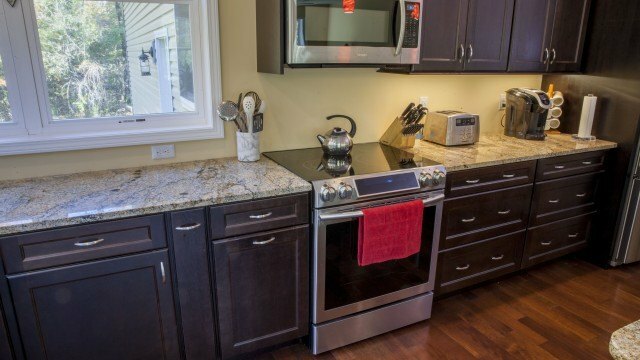 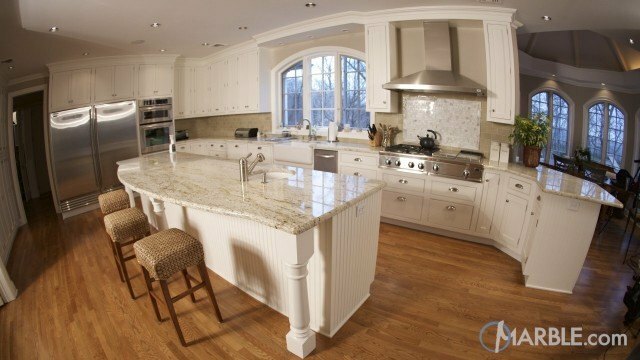 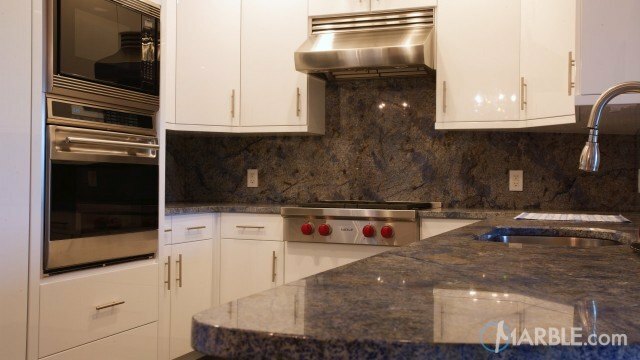 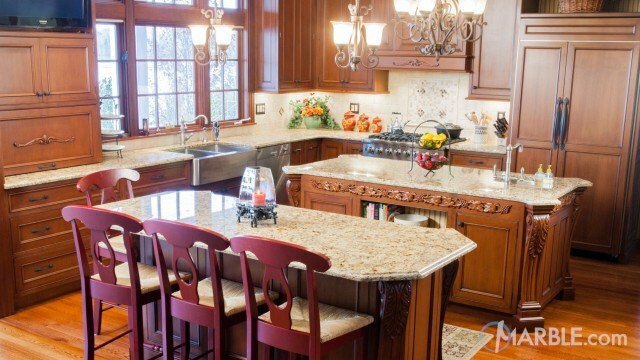 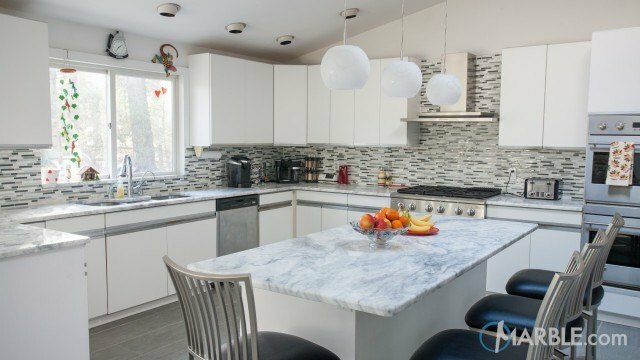 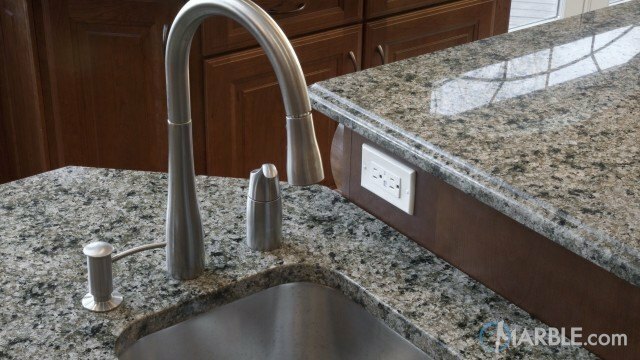 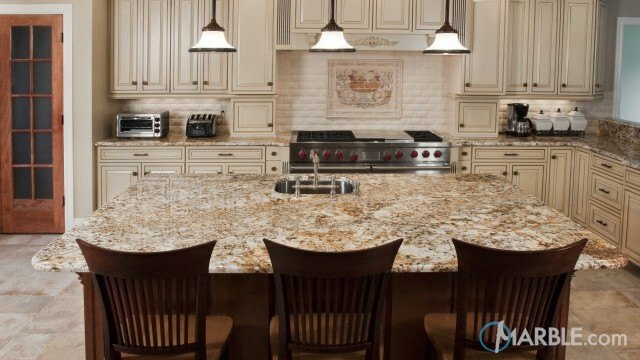 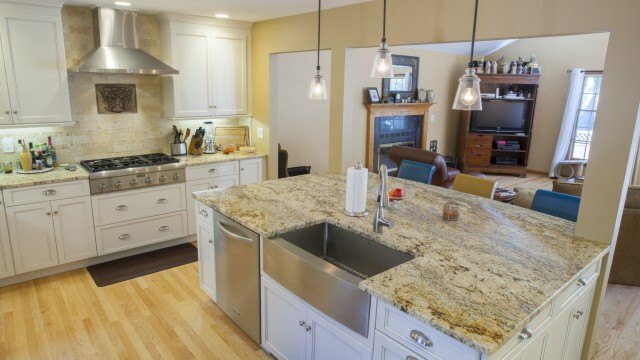 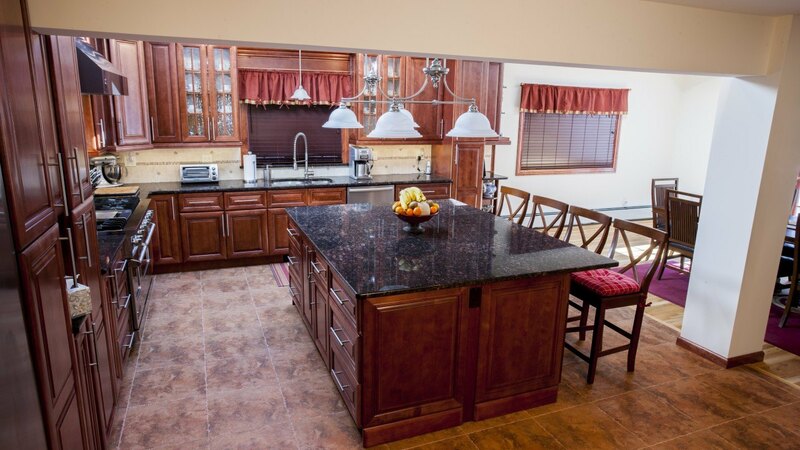 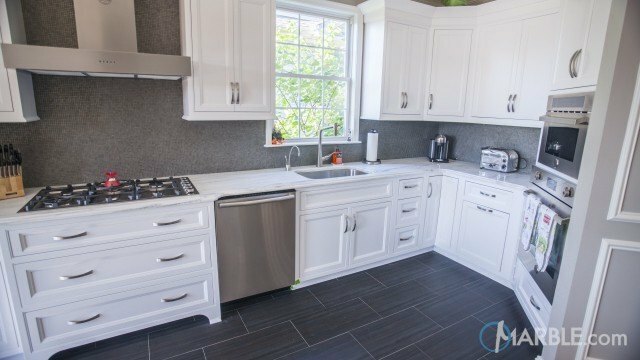 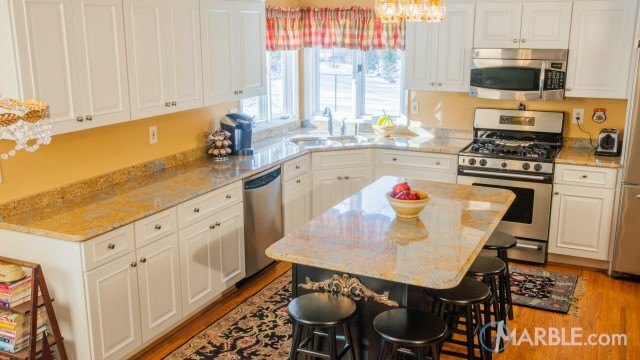 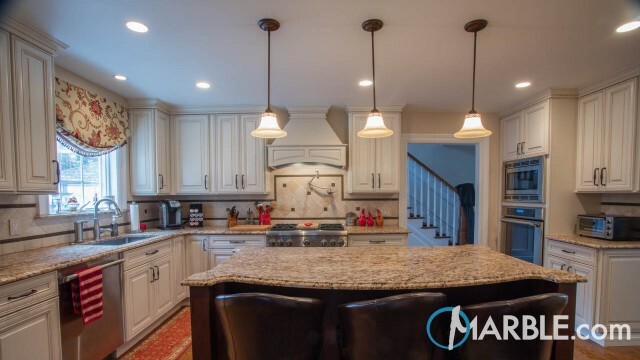 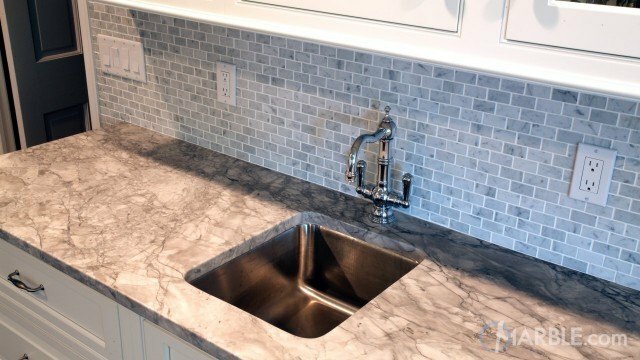 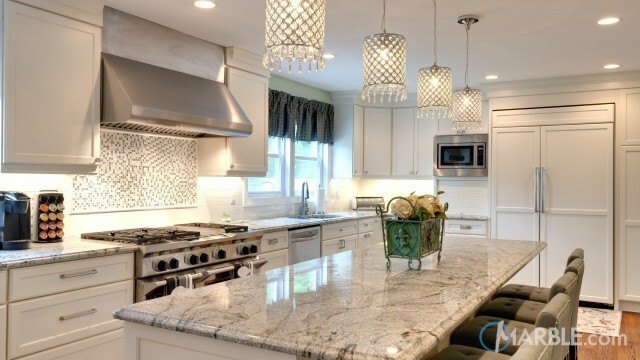 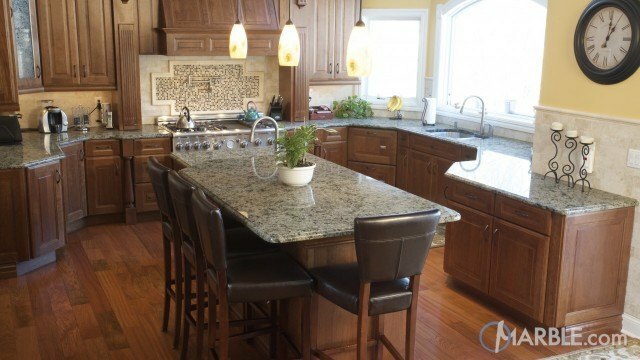 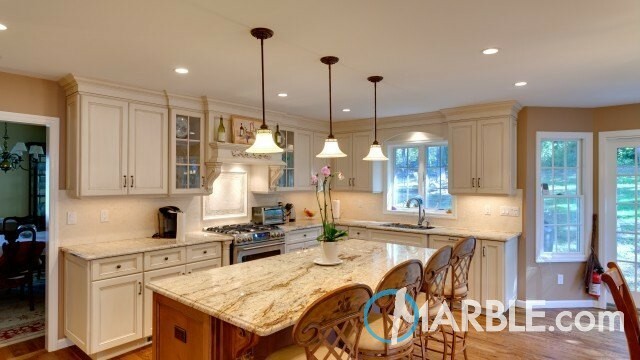 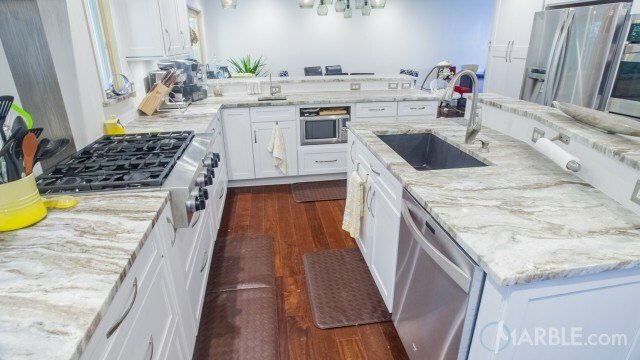 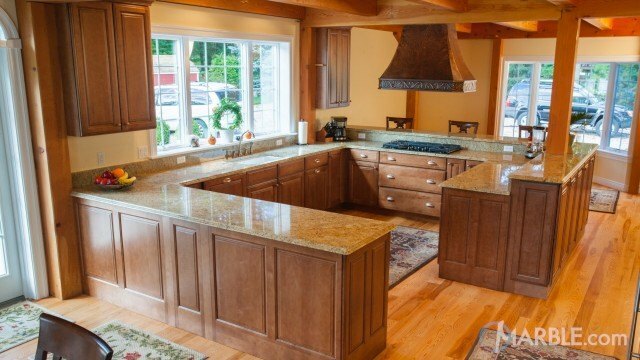 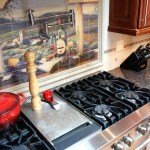 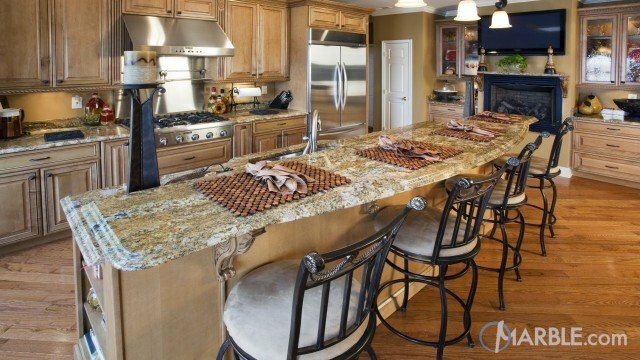 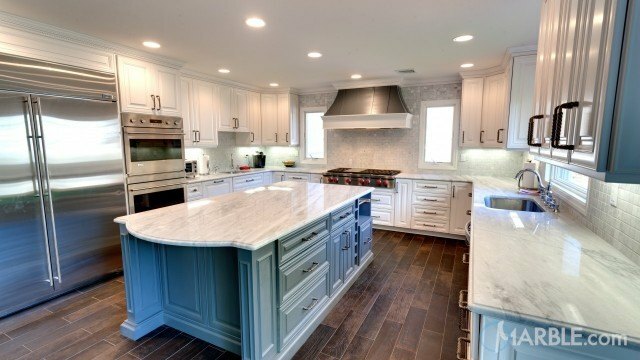 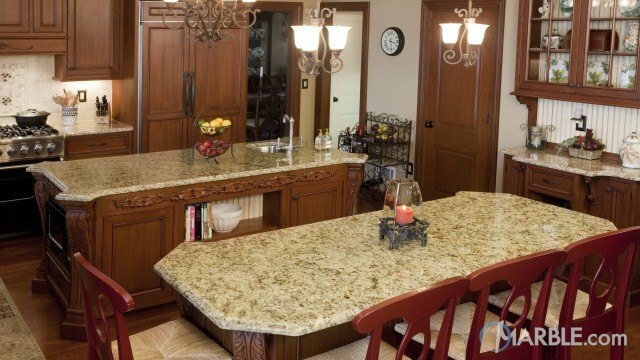 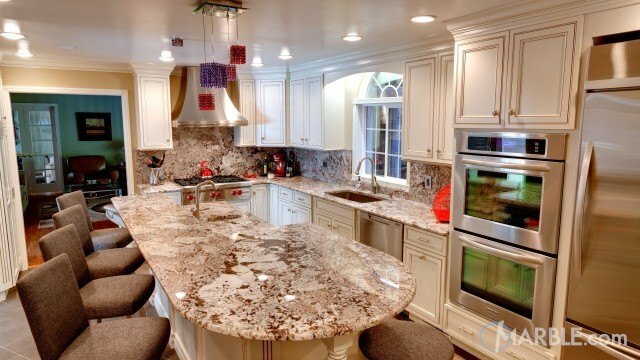 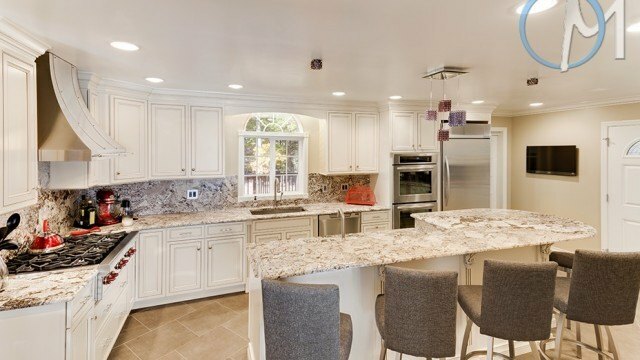 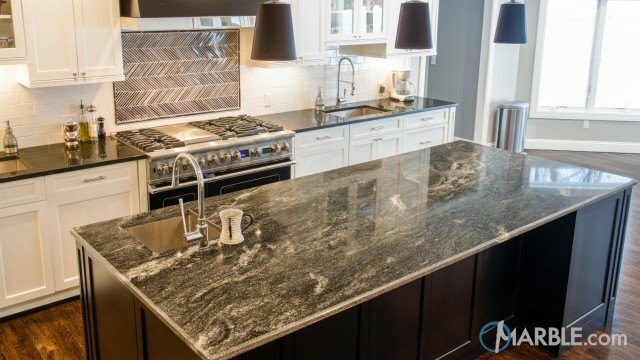 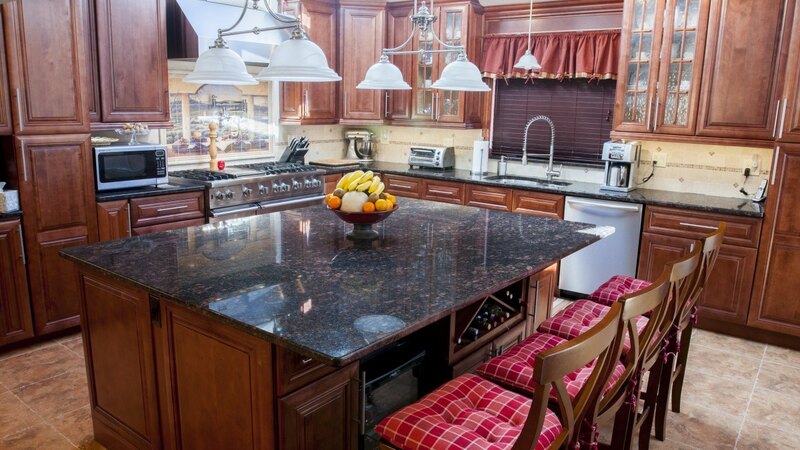 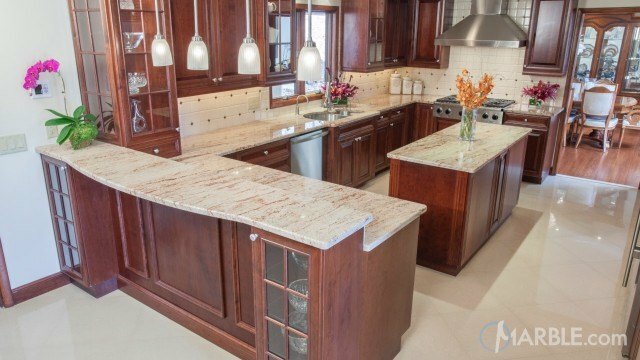 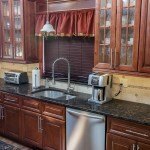 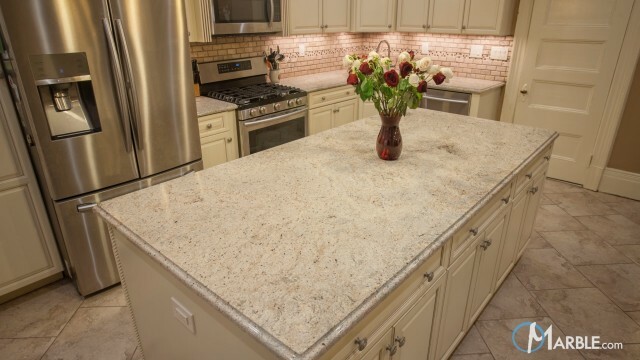 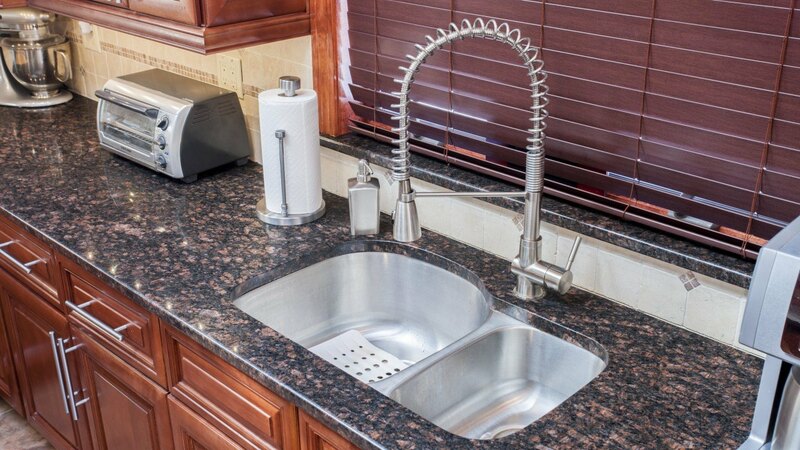 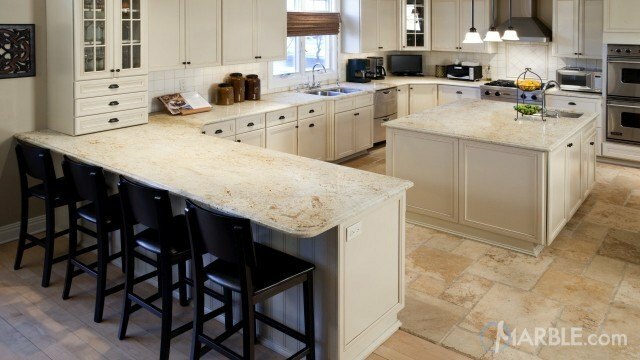 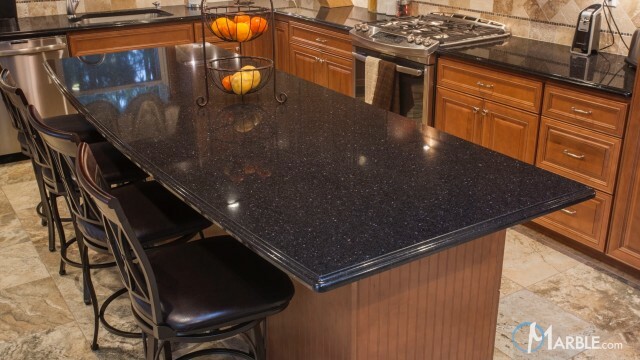 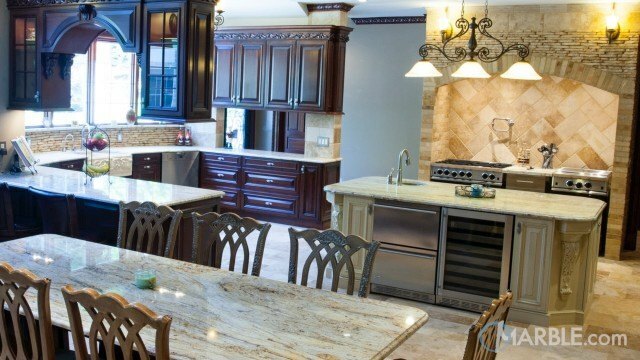 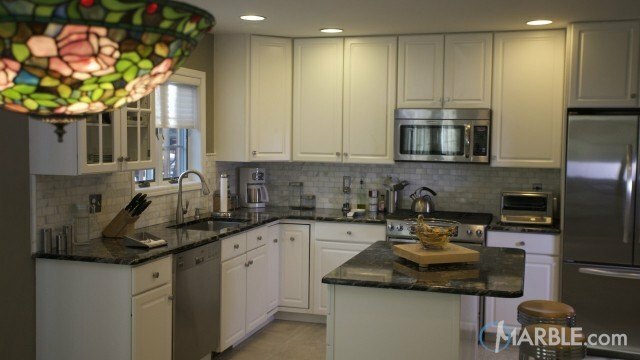 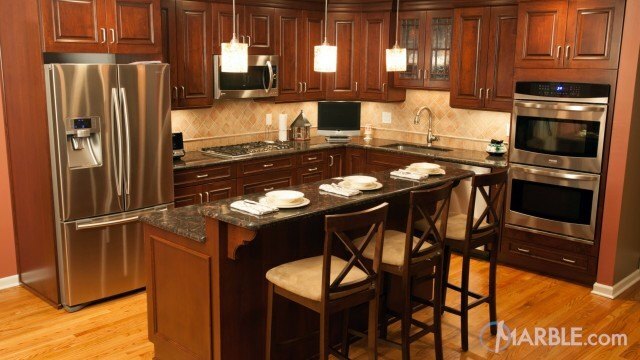 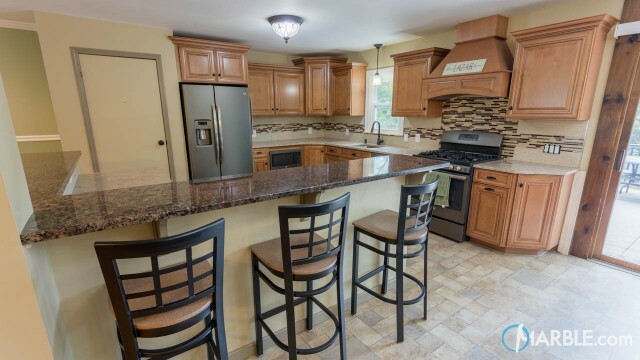 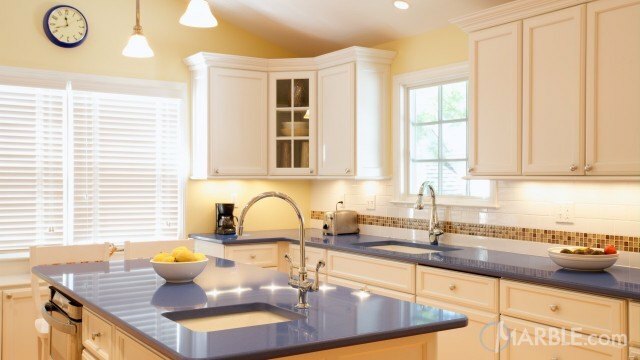 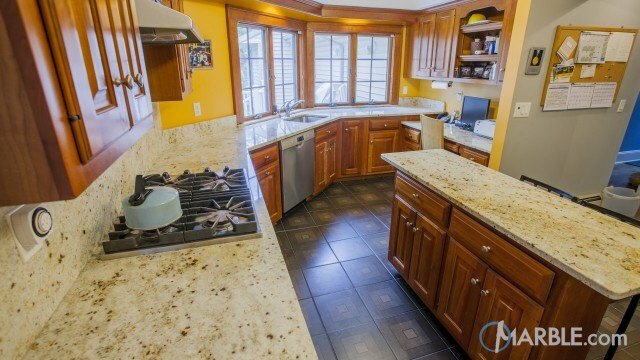 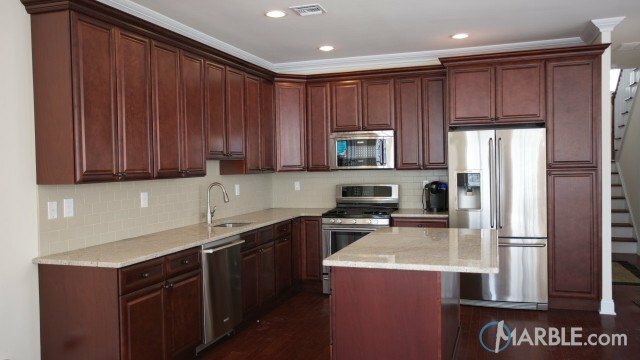 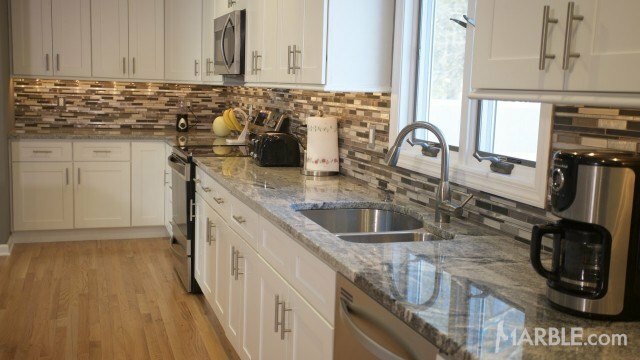 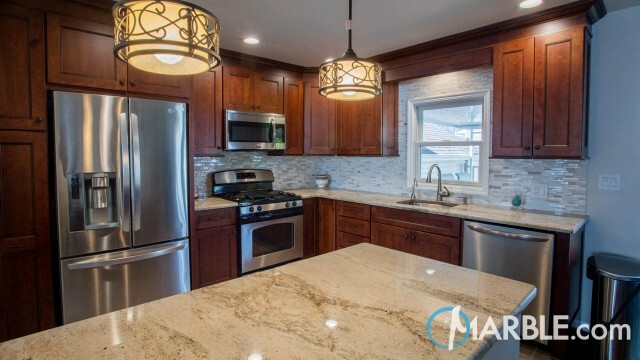 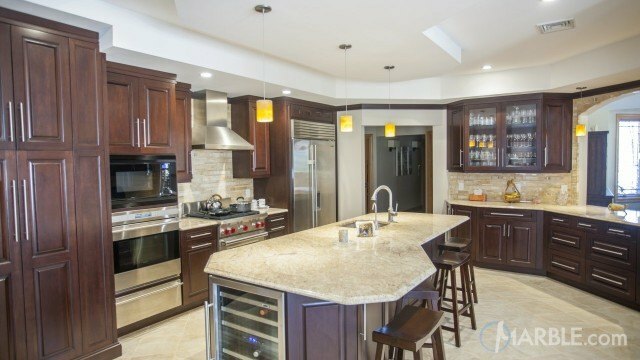 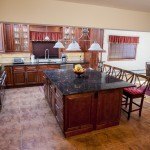 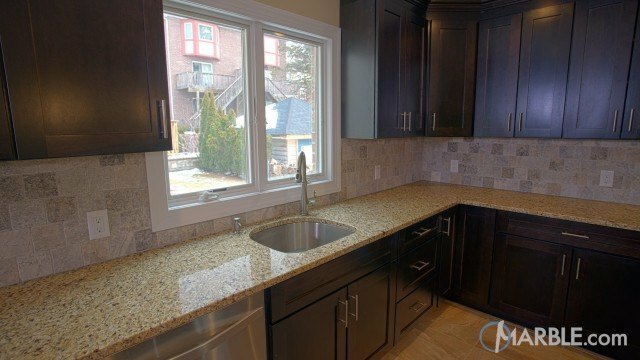 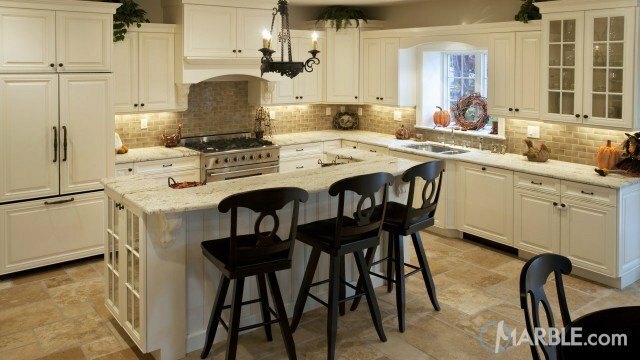 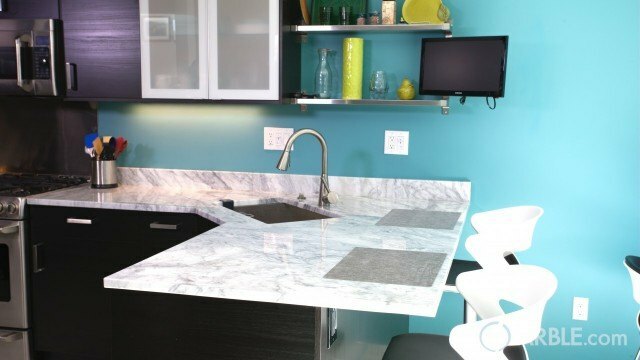 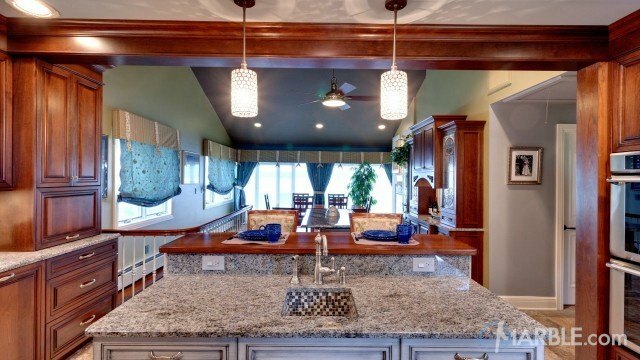 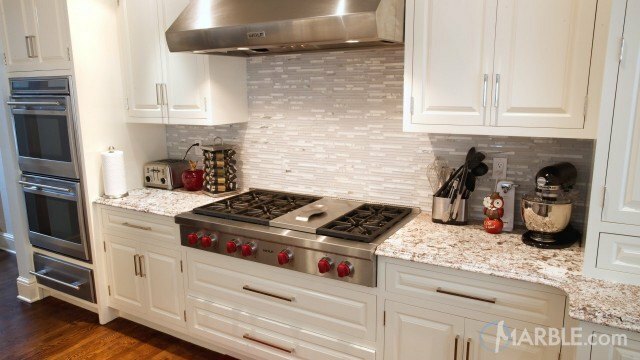 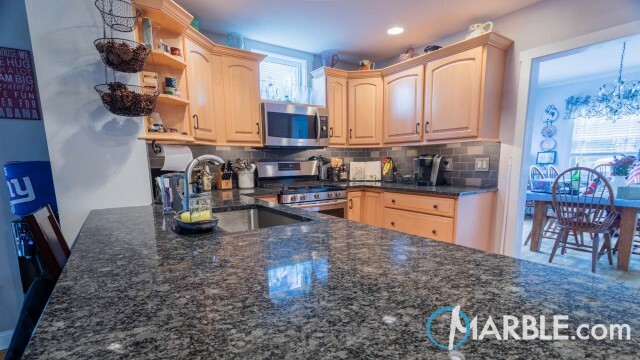 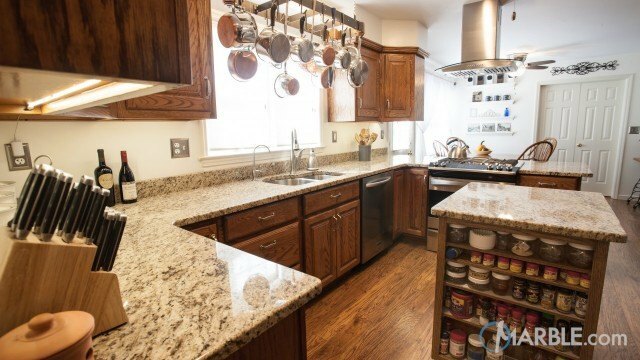 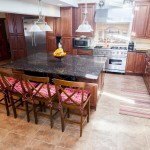 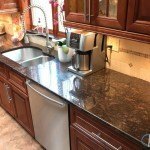 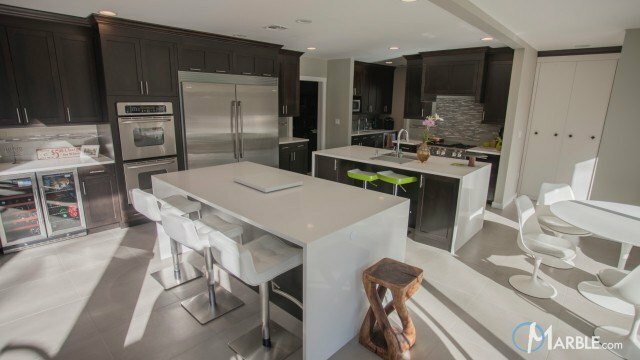 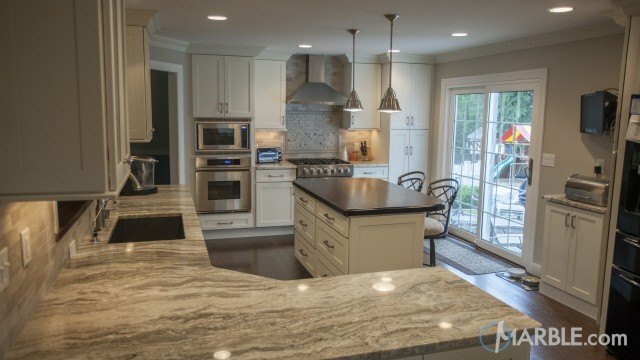 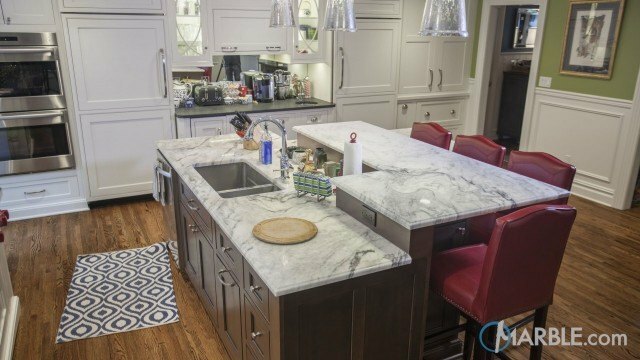 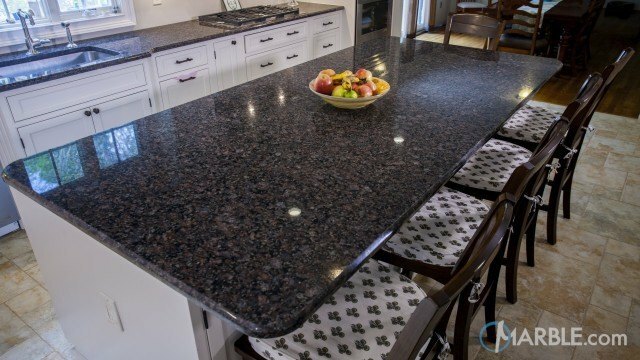 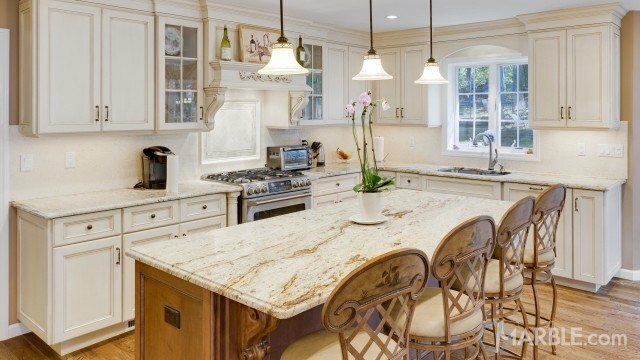 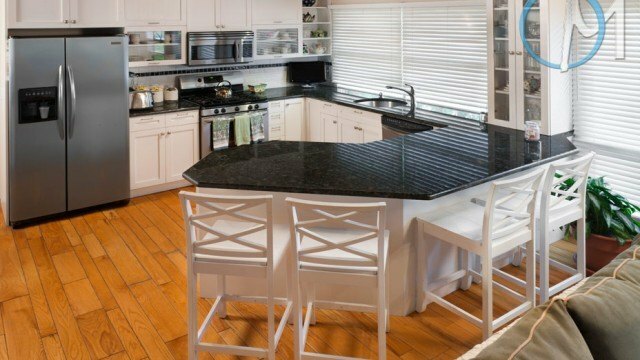 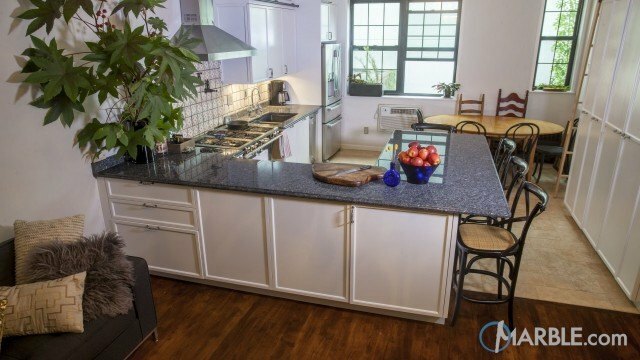 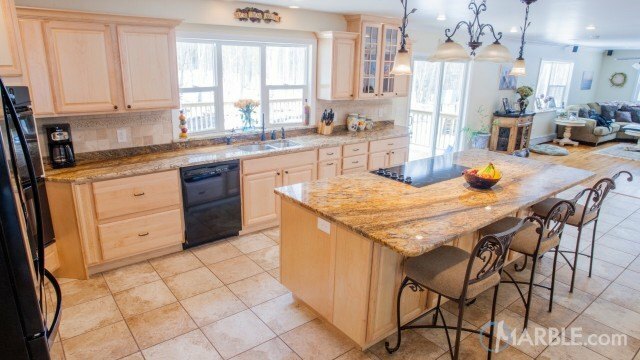 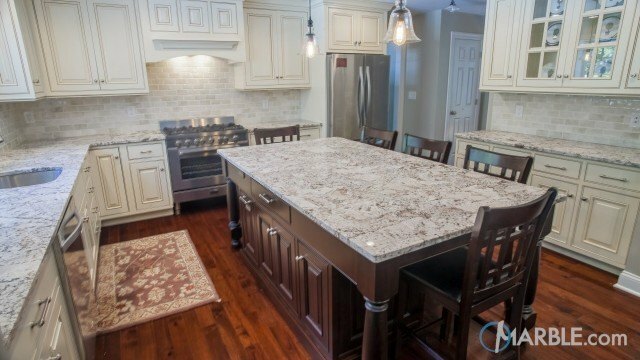 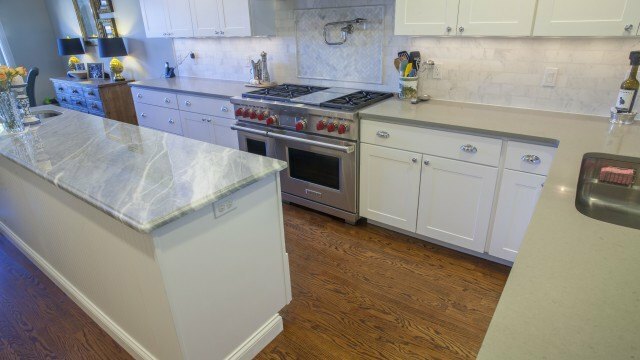 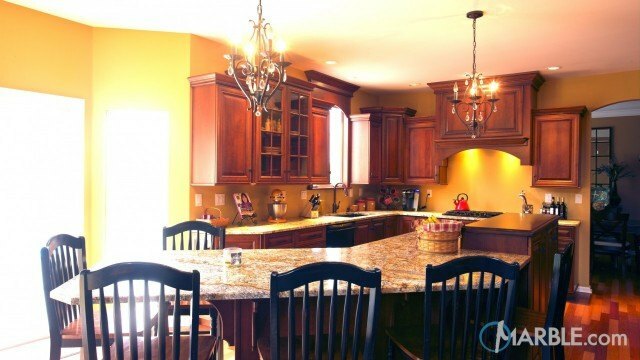 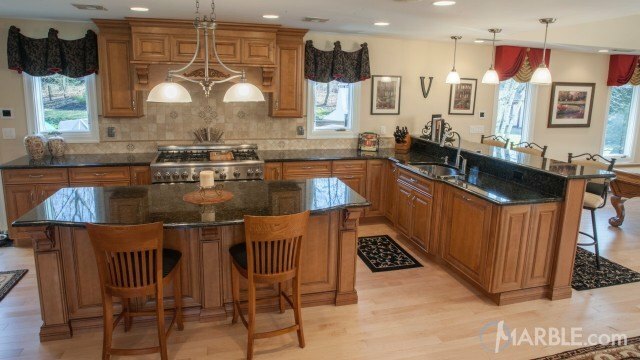 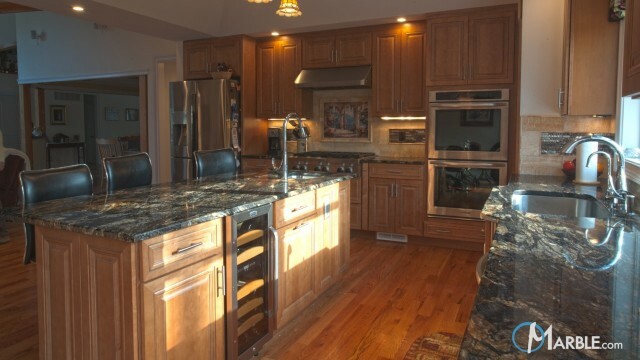 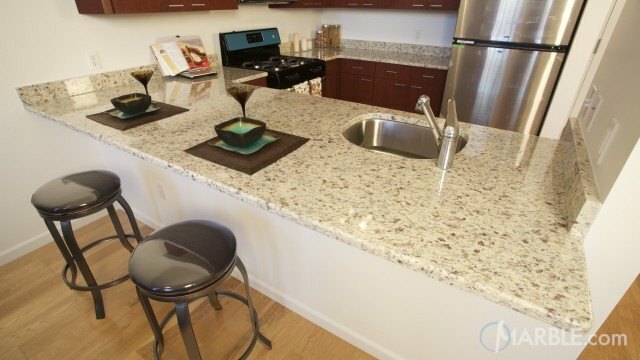 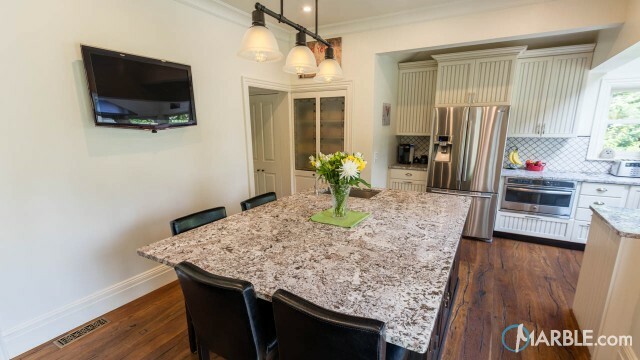 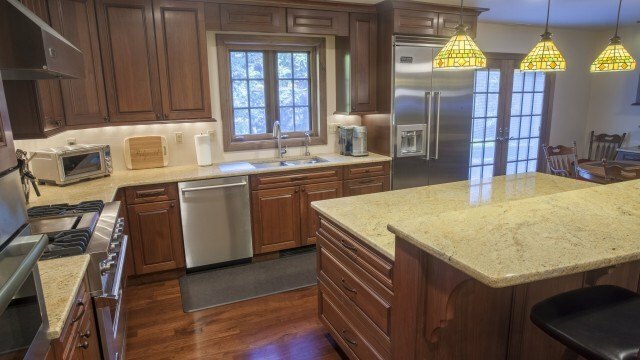 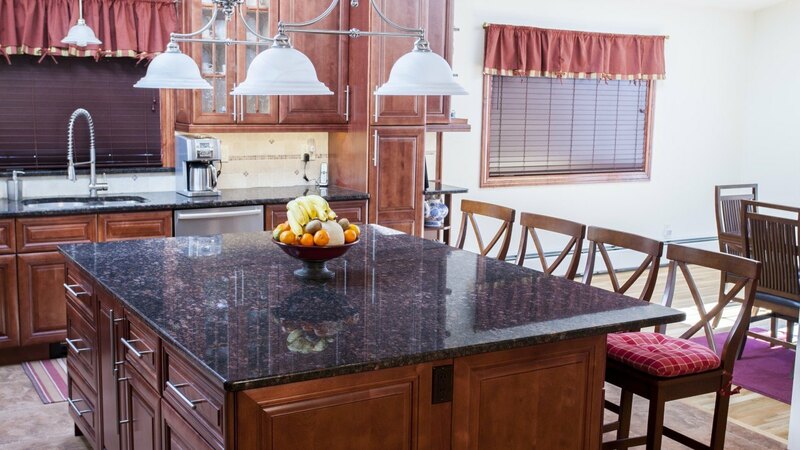 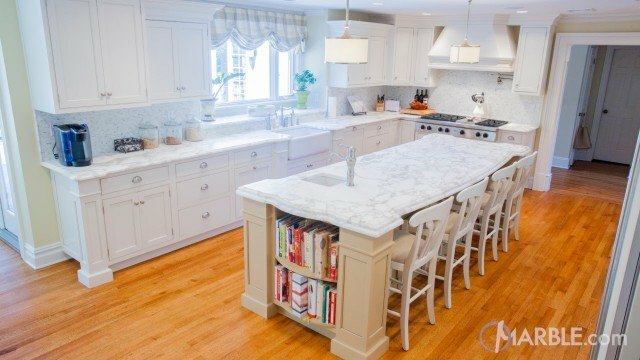 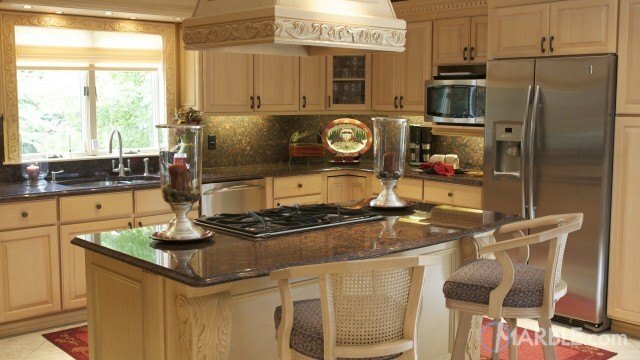 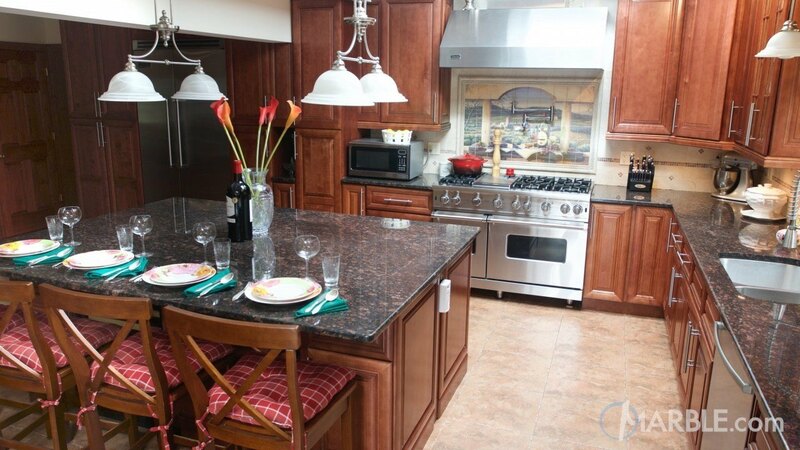 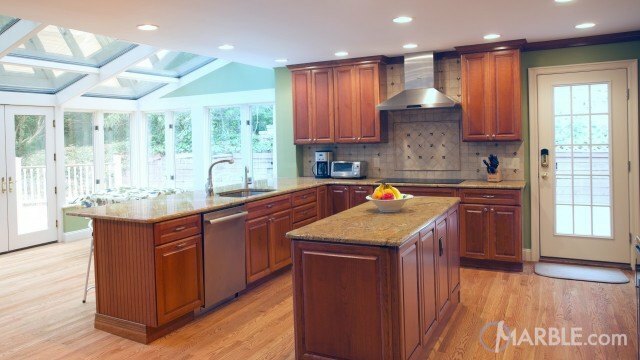 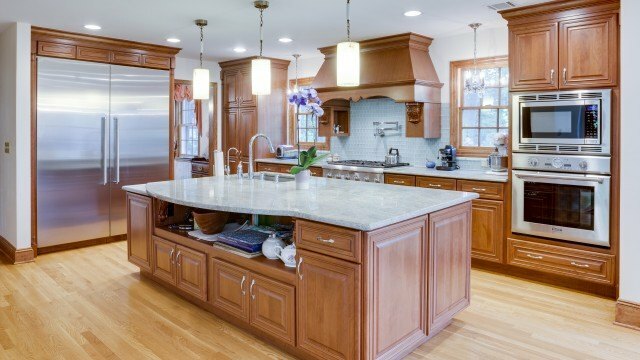 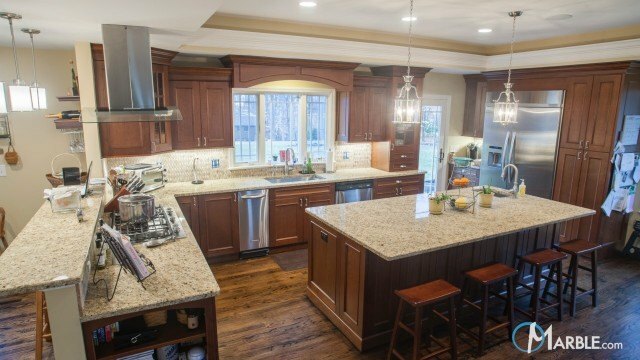 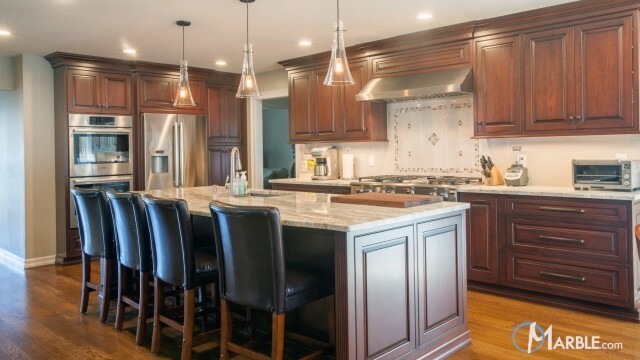 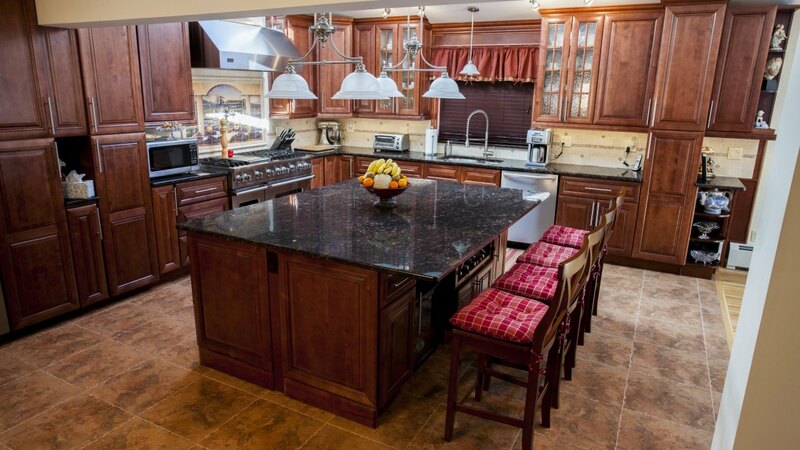 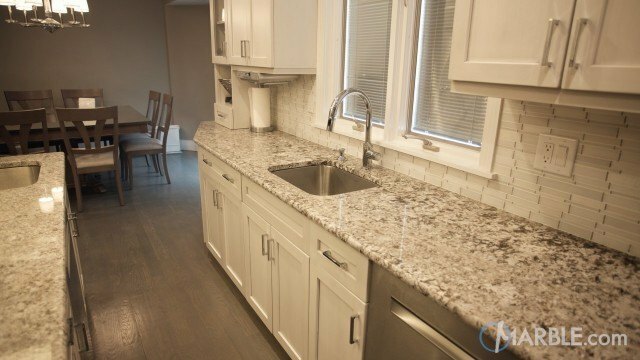 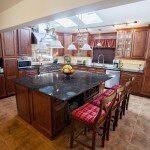 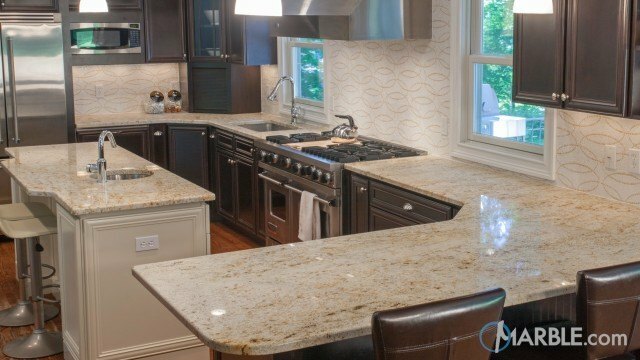 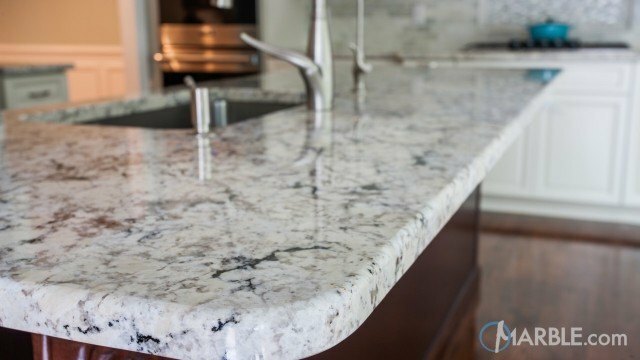 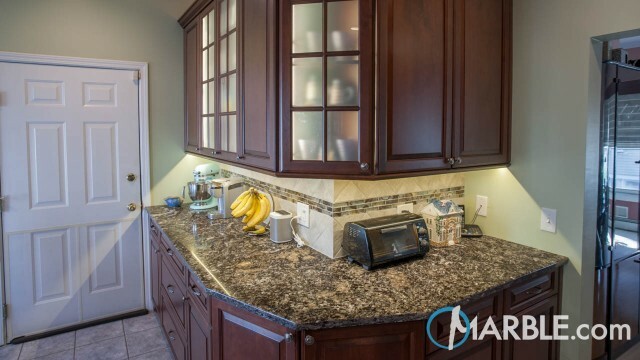 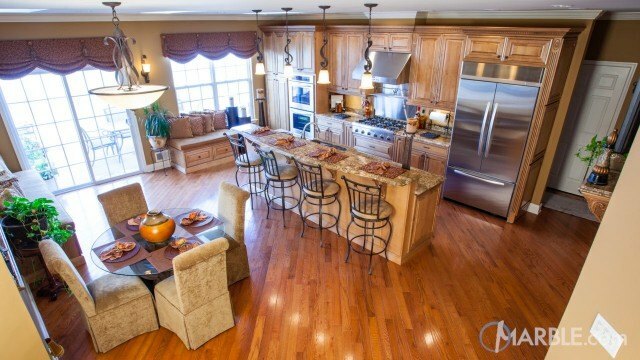 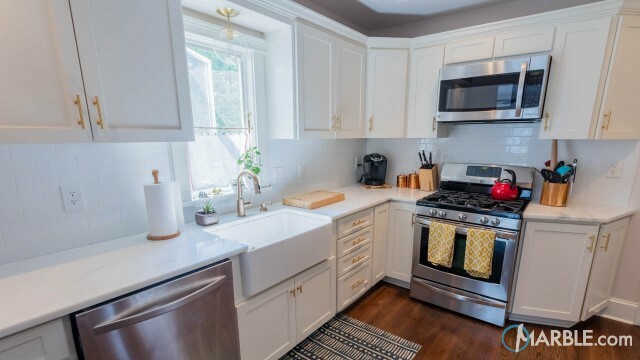 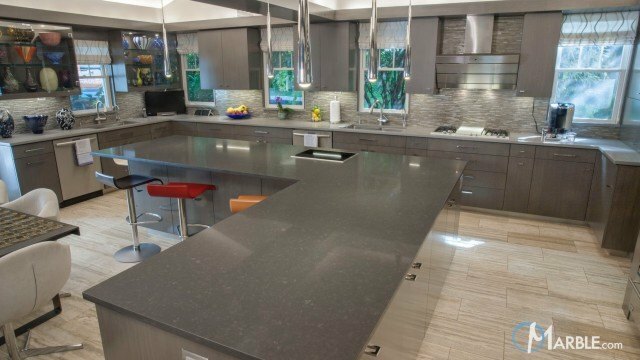 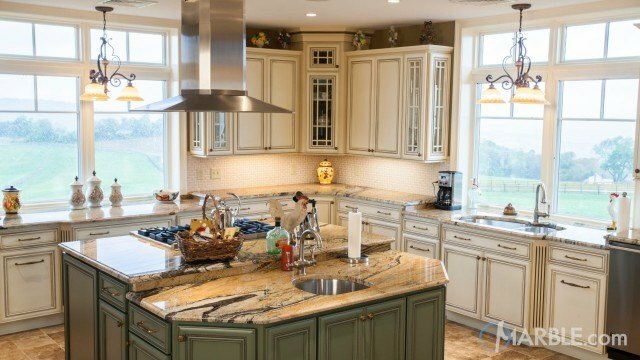 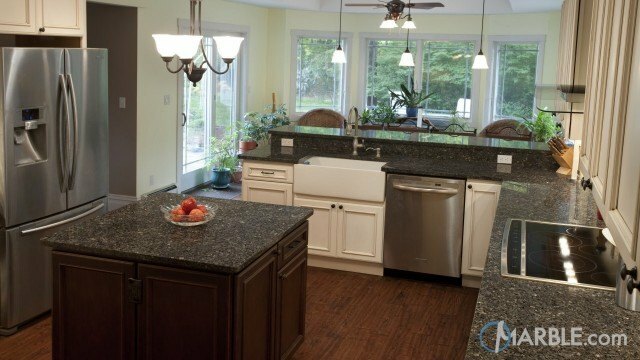 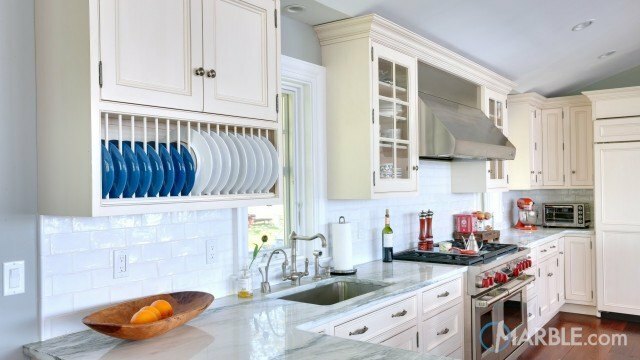 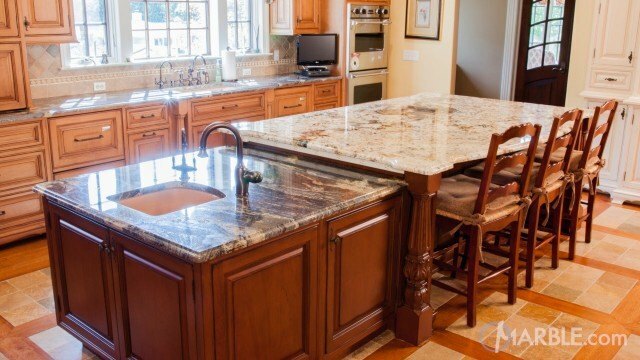 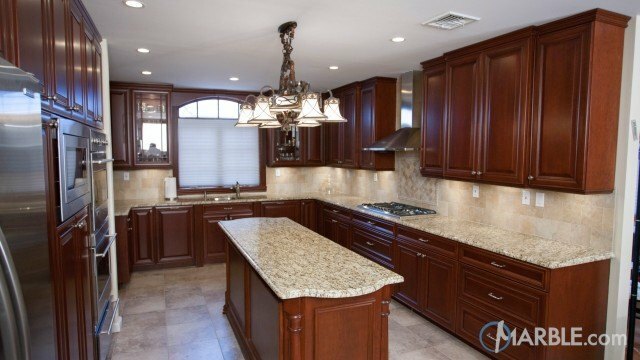 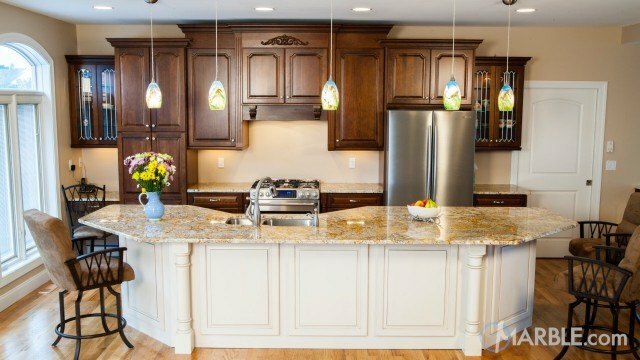 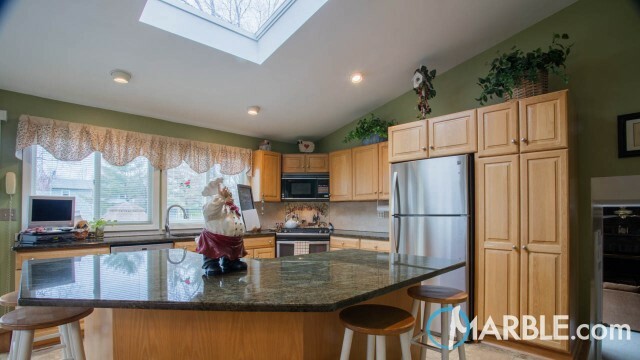 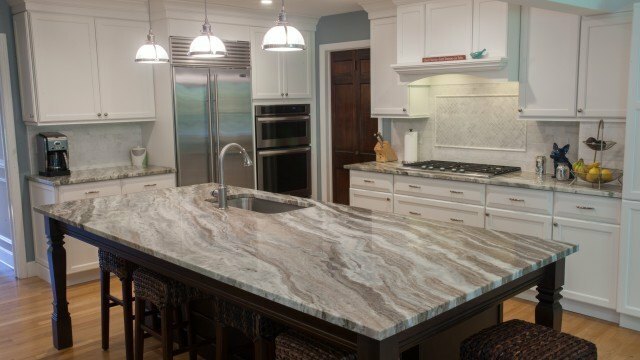 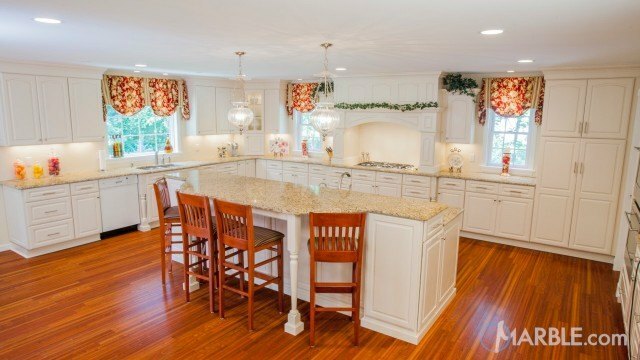 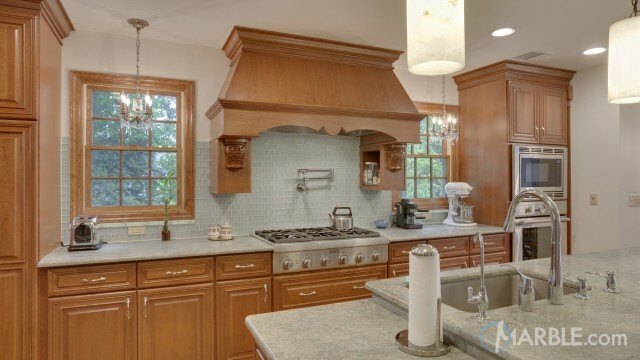 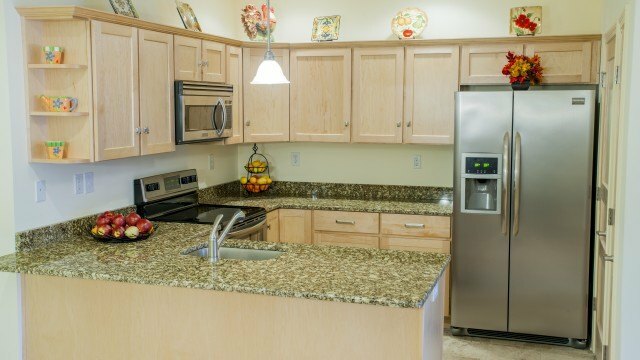 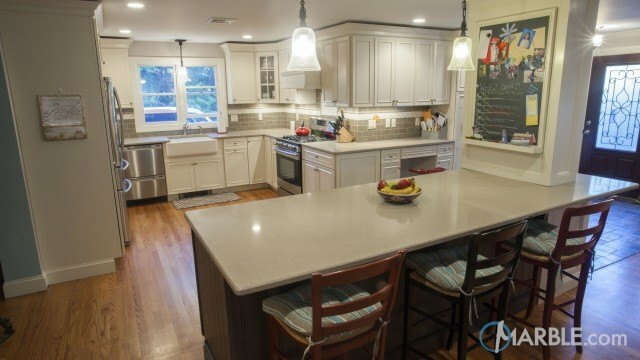 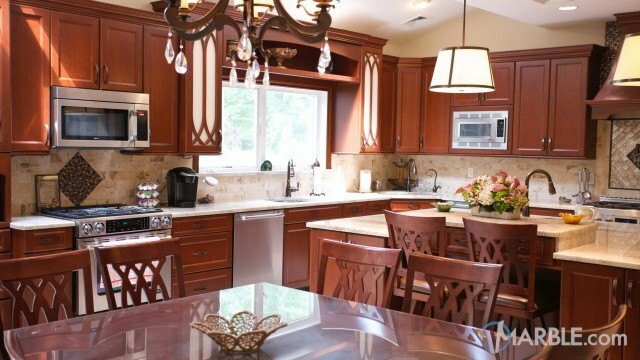 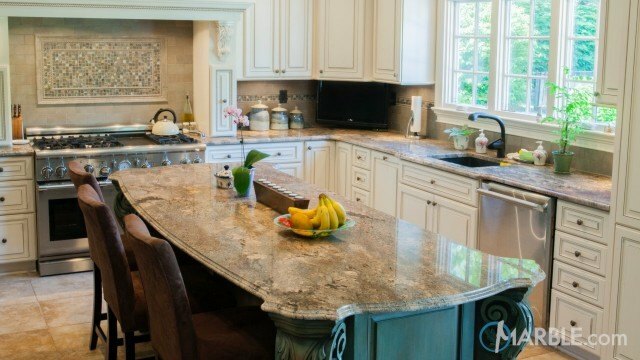 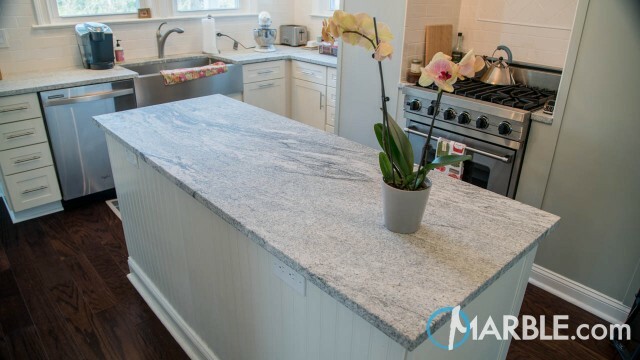 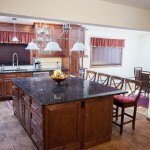 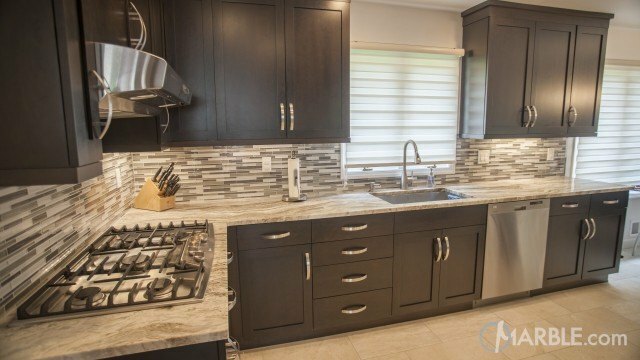 This warm and inviting kitchen has seating for four at an island crowned with Tan Brown granite with a 1/4 Round Edge. 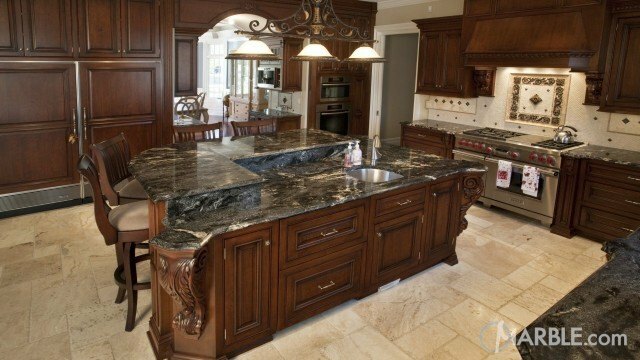 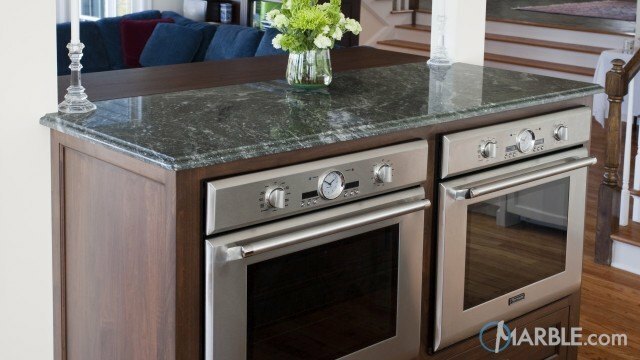 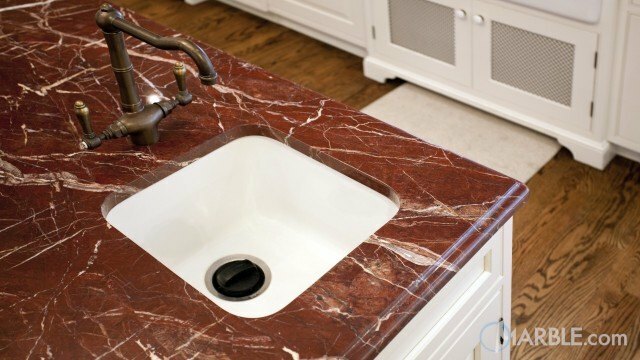 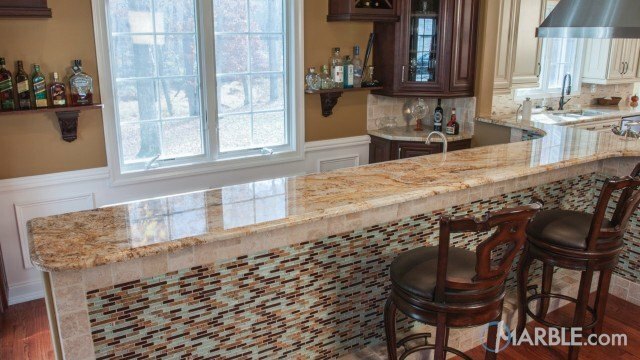 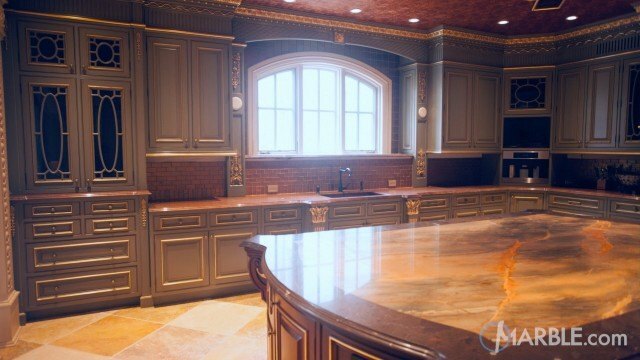 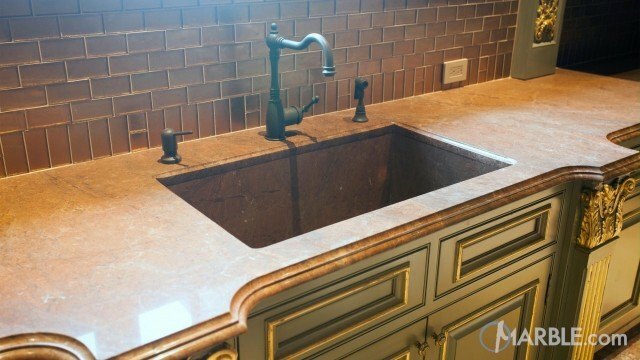 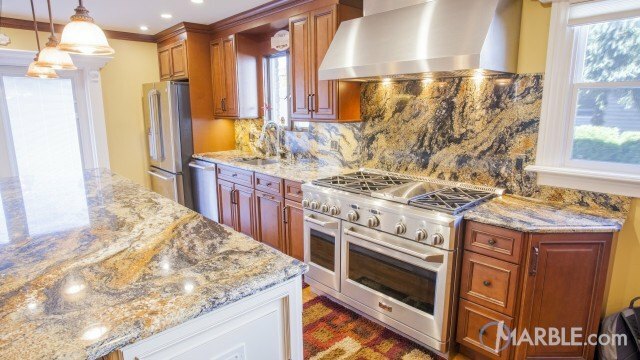 The brown and gold in the stone pair with the dark wood cabinets and exude a homey feel. 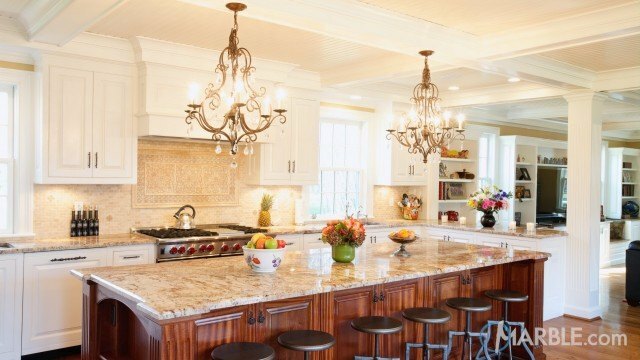 Pops of color in green, yellow and red add brightness and whimsy. 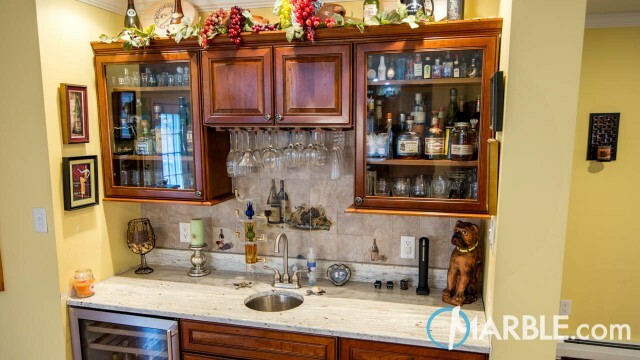 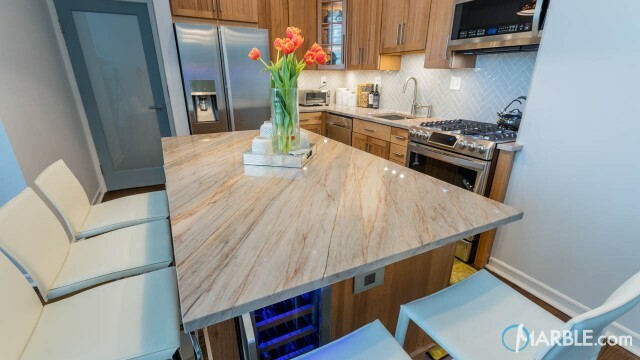 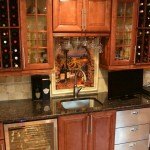 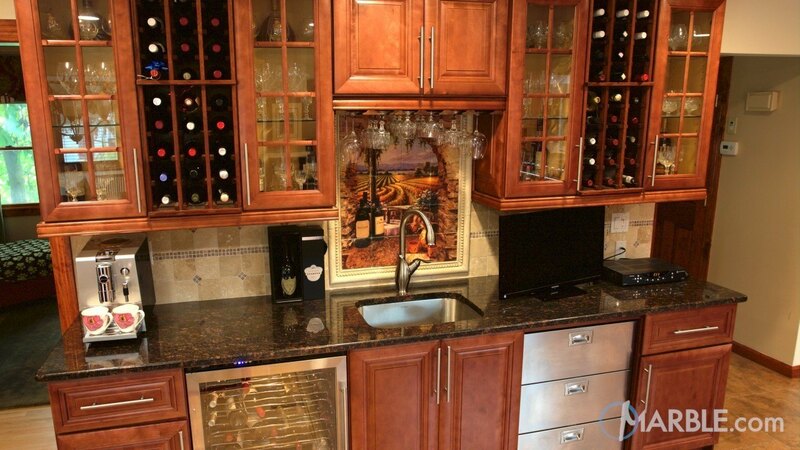 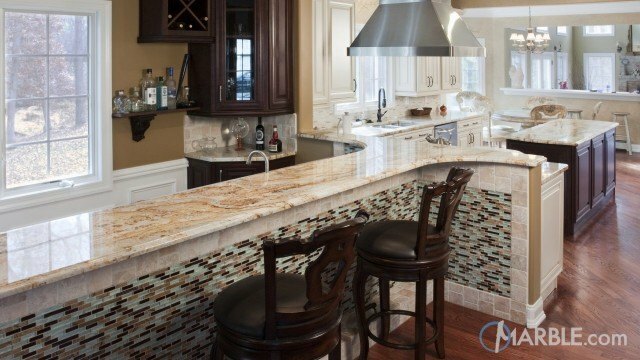 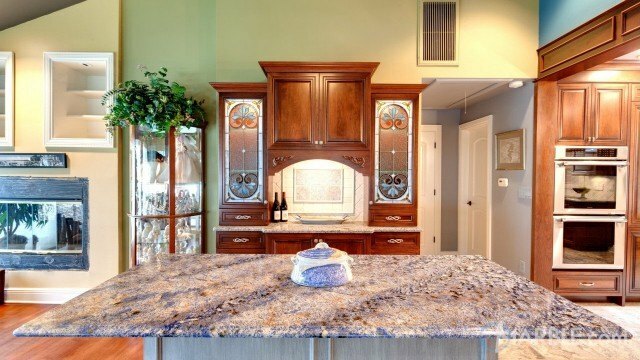 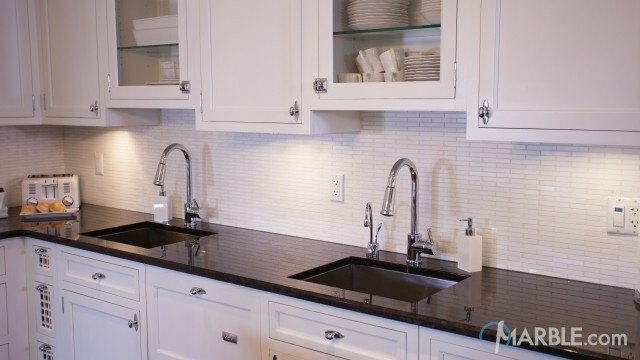 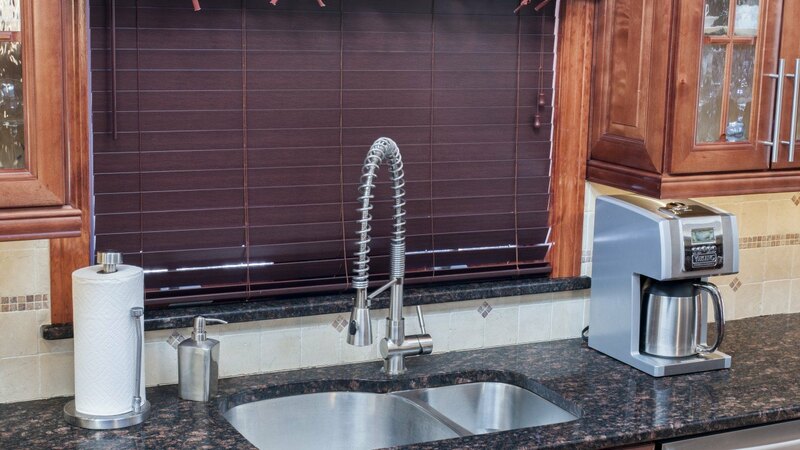 The full wine bar with glass front cabinets makes a statement and is sure to turn heads.